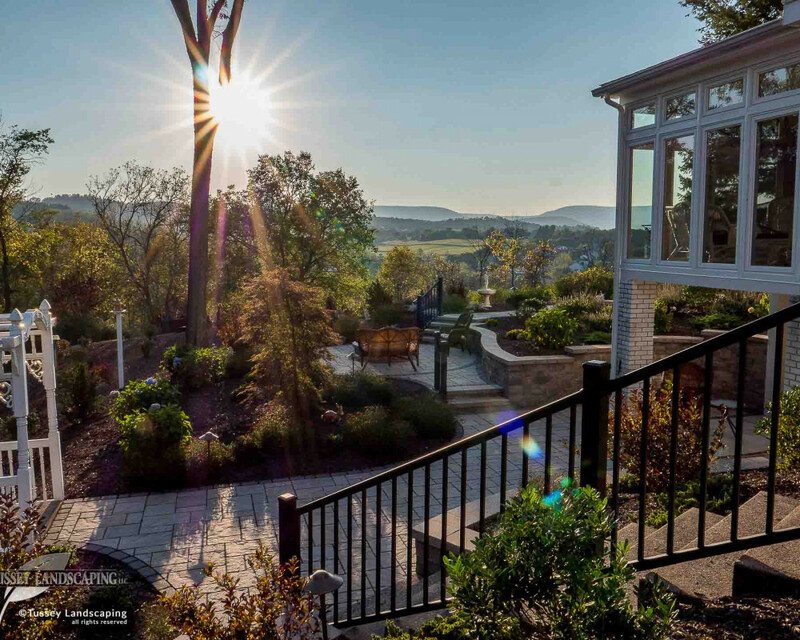 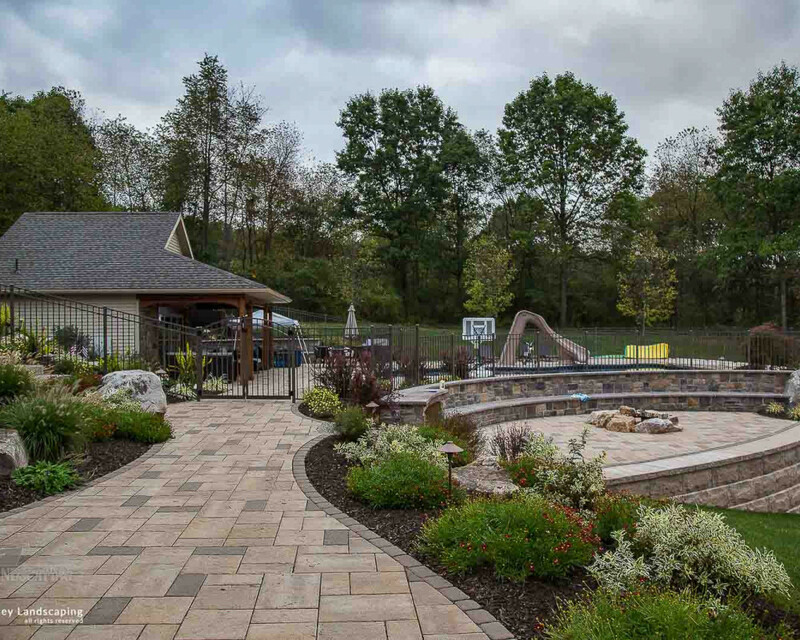 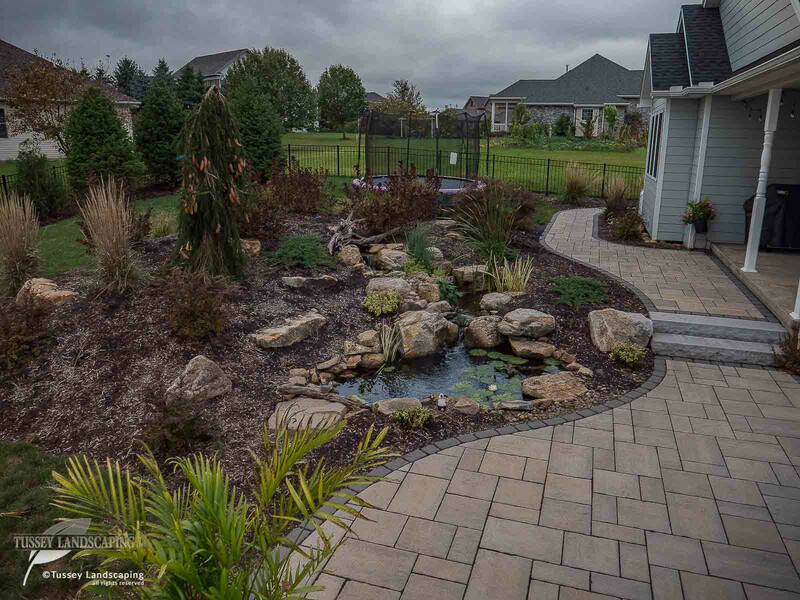 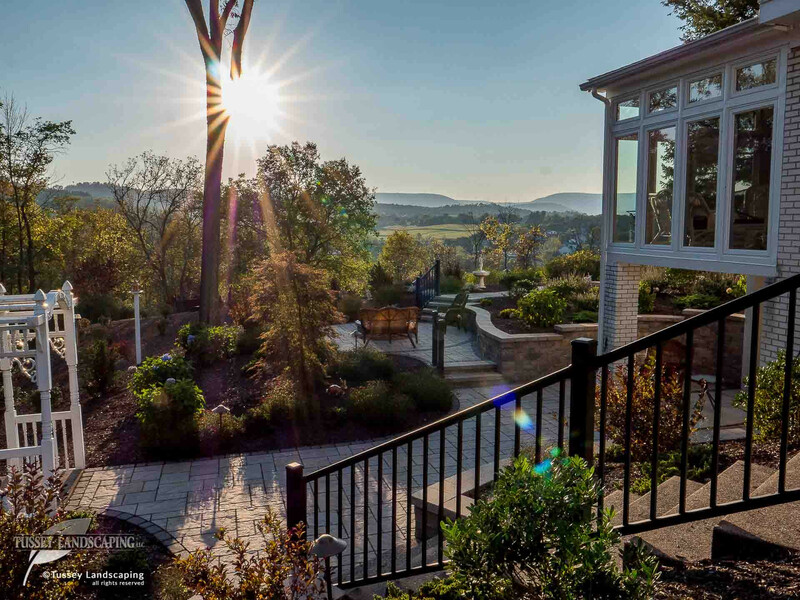 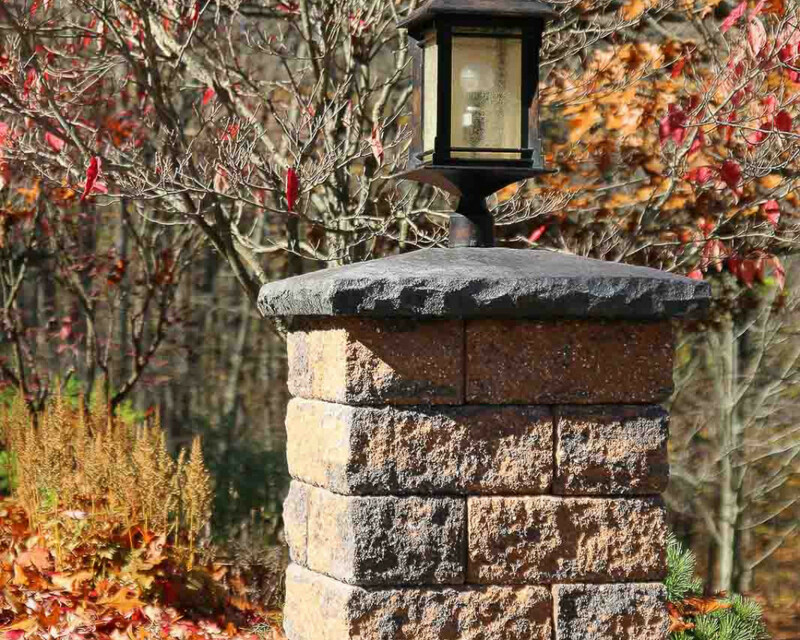 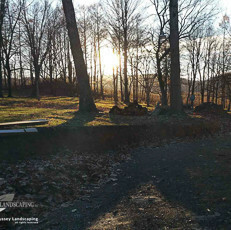 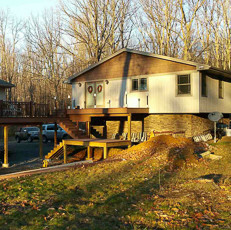 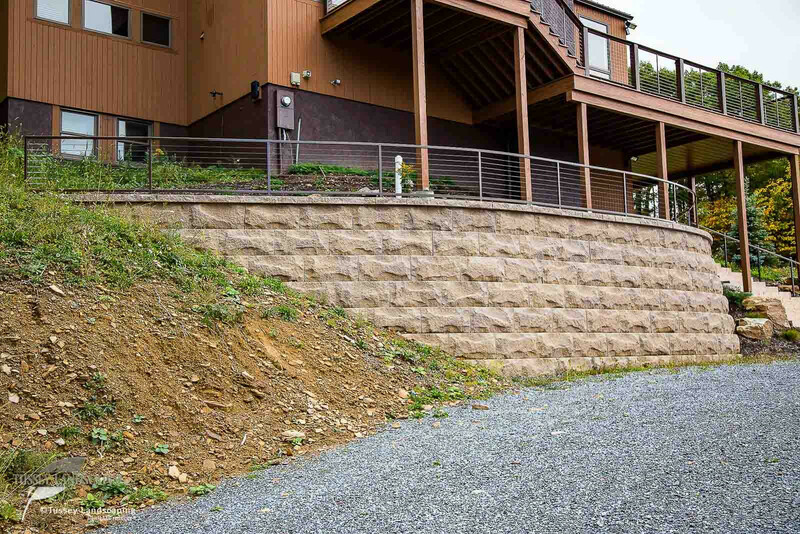 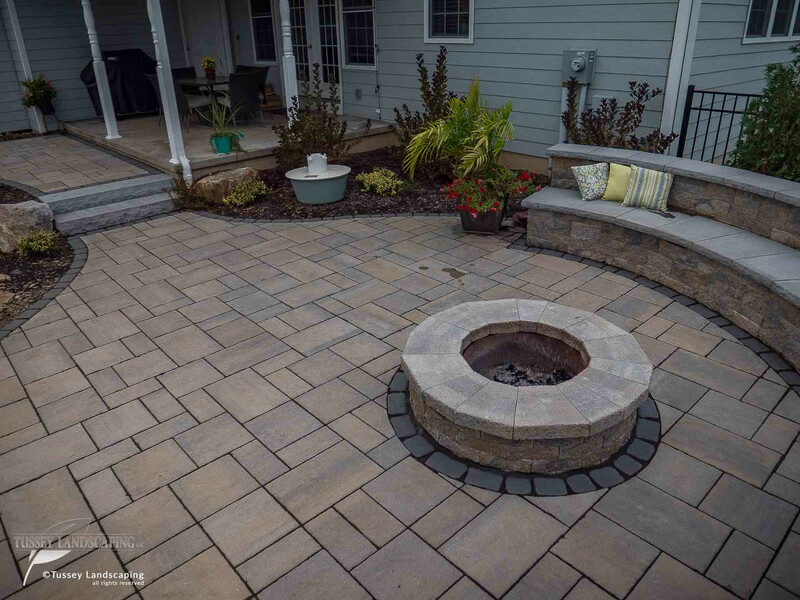 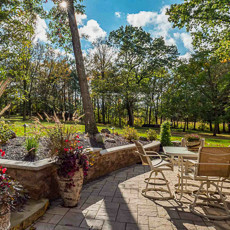 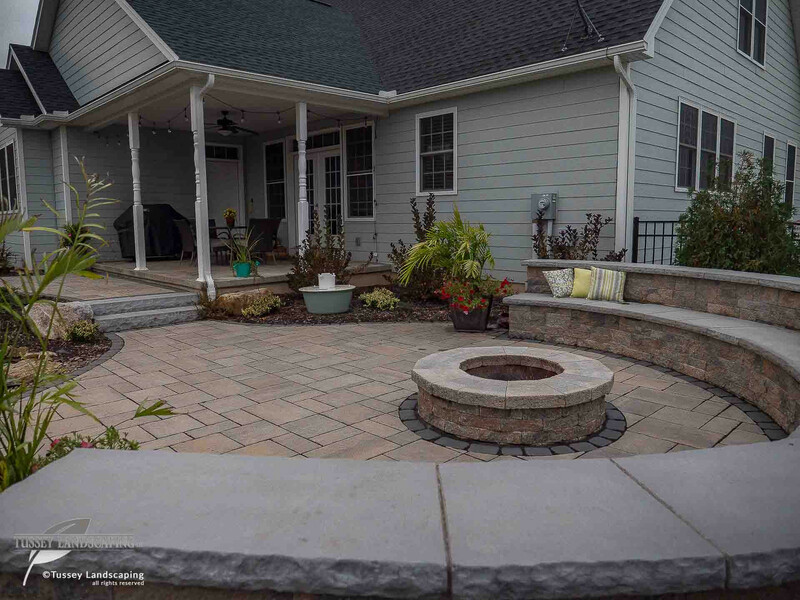 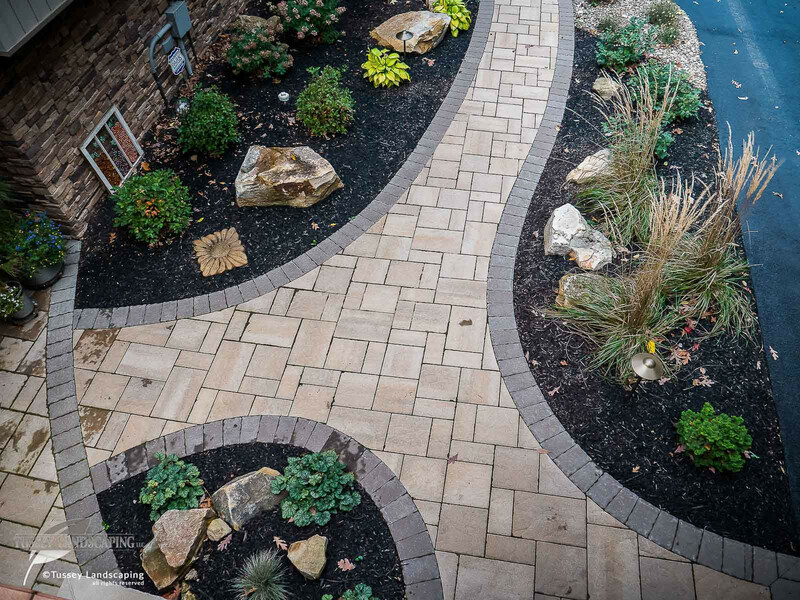 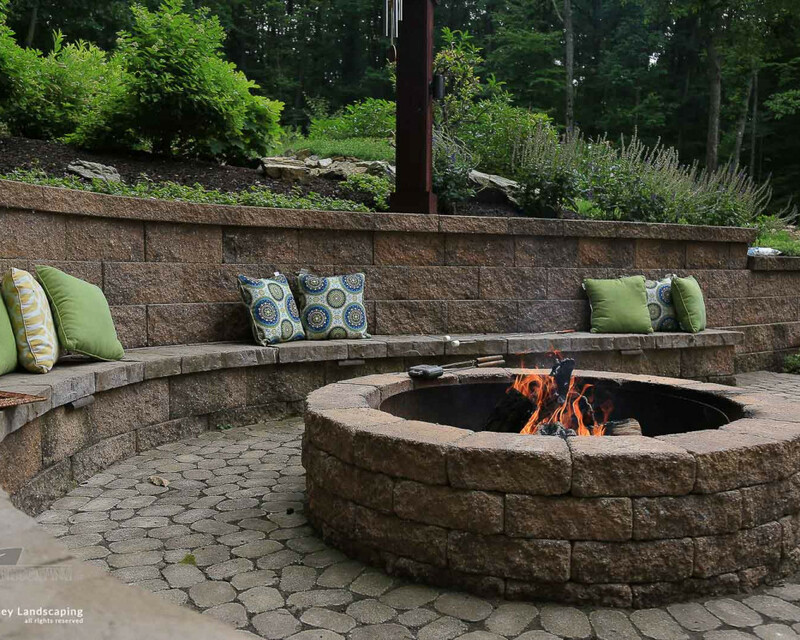 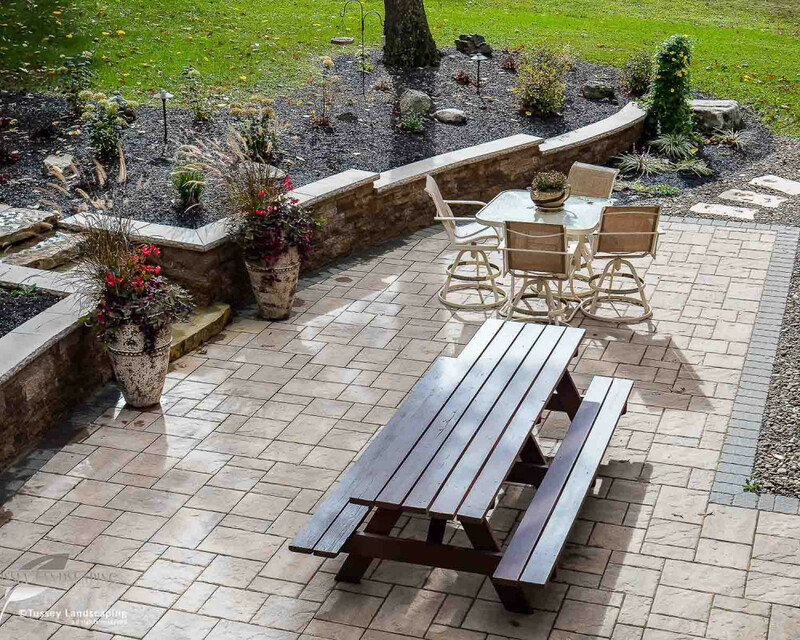 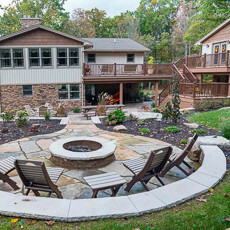 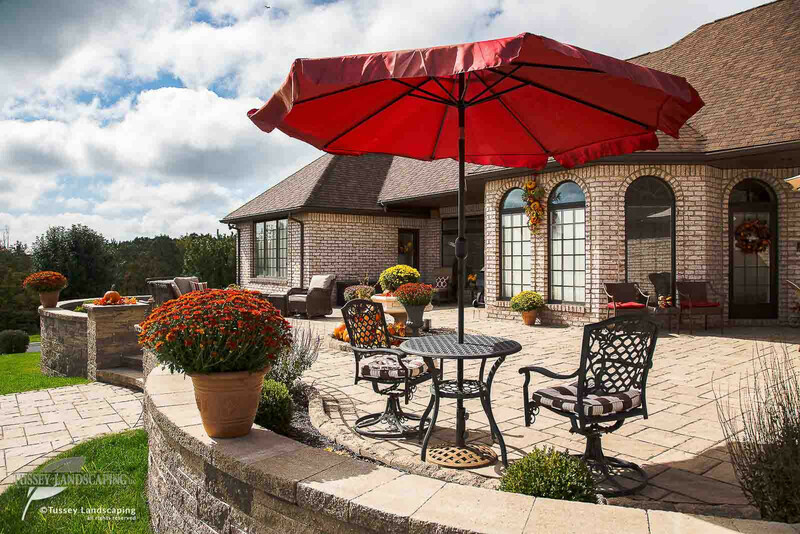 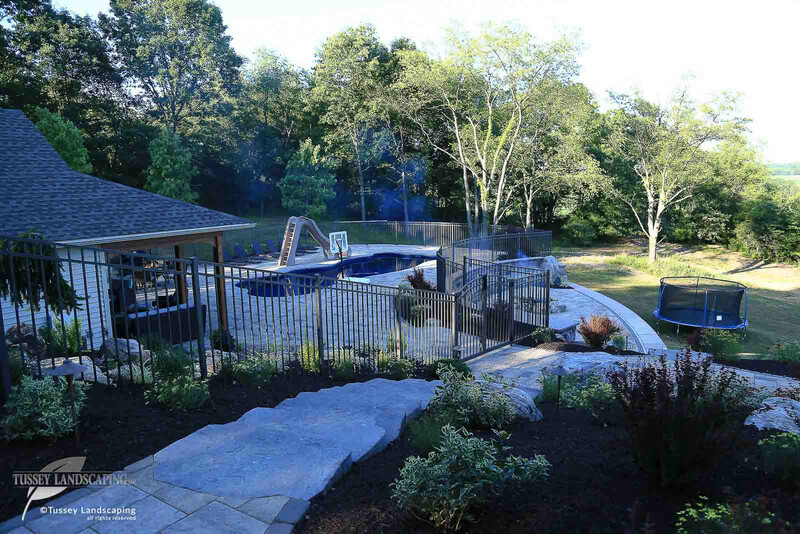 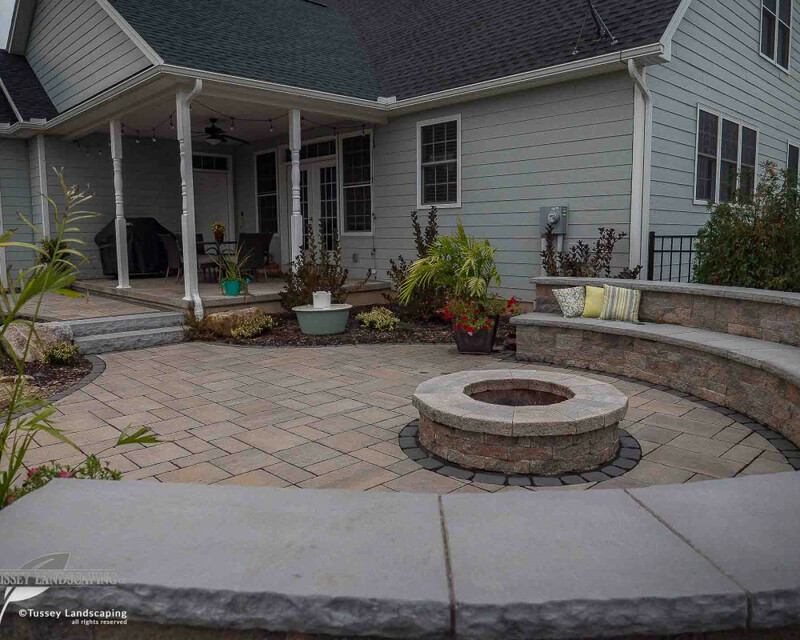 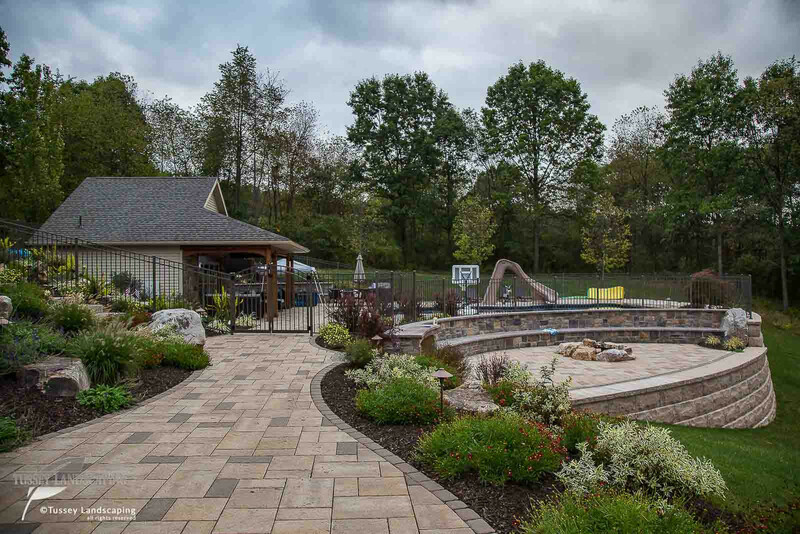 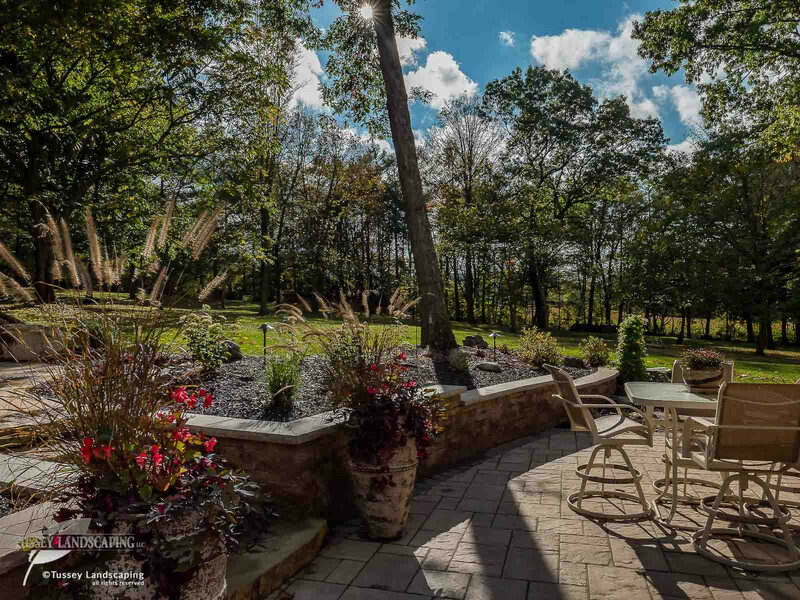 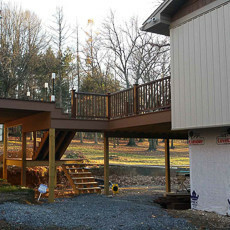 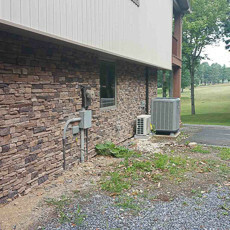 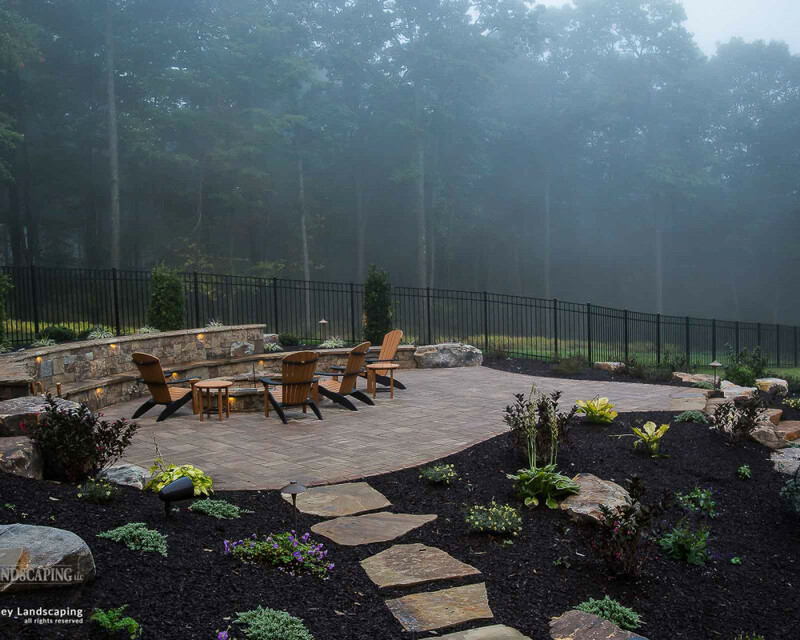 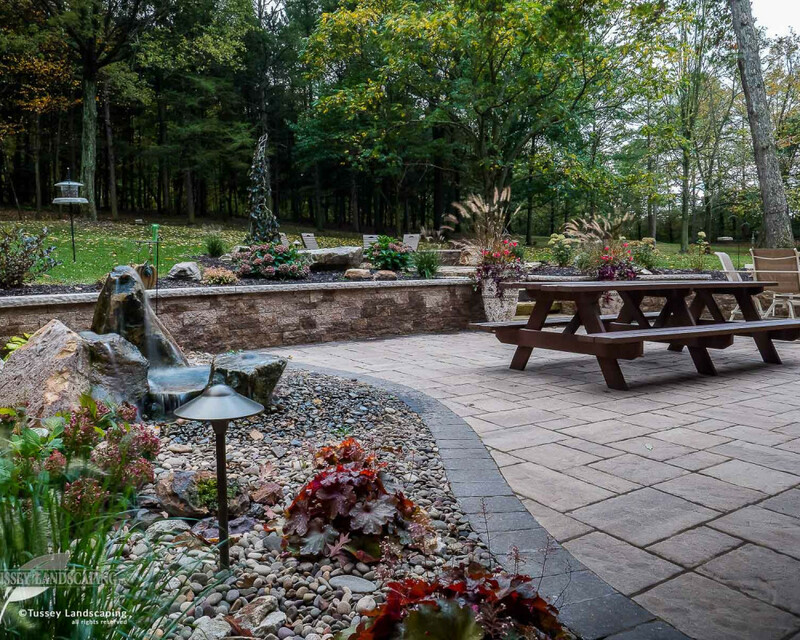 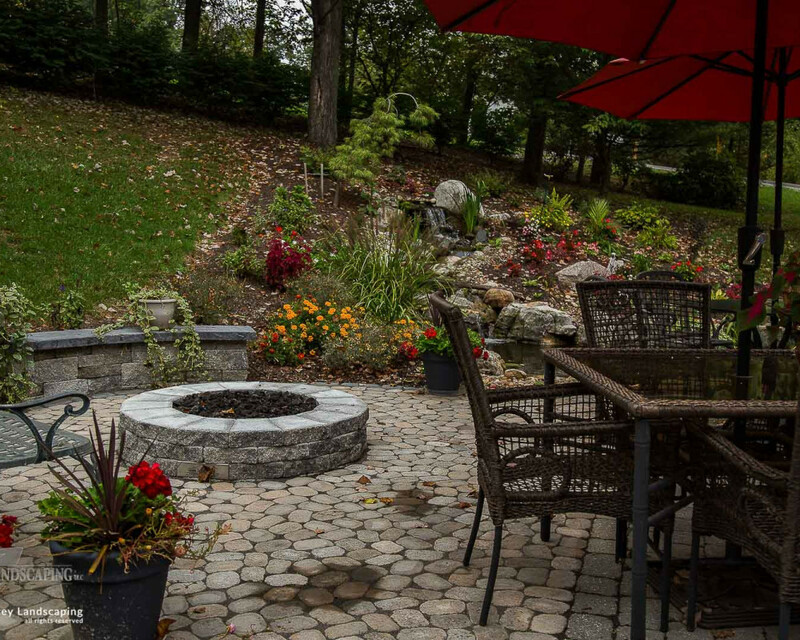 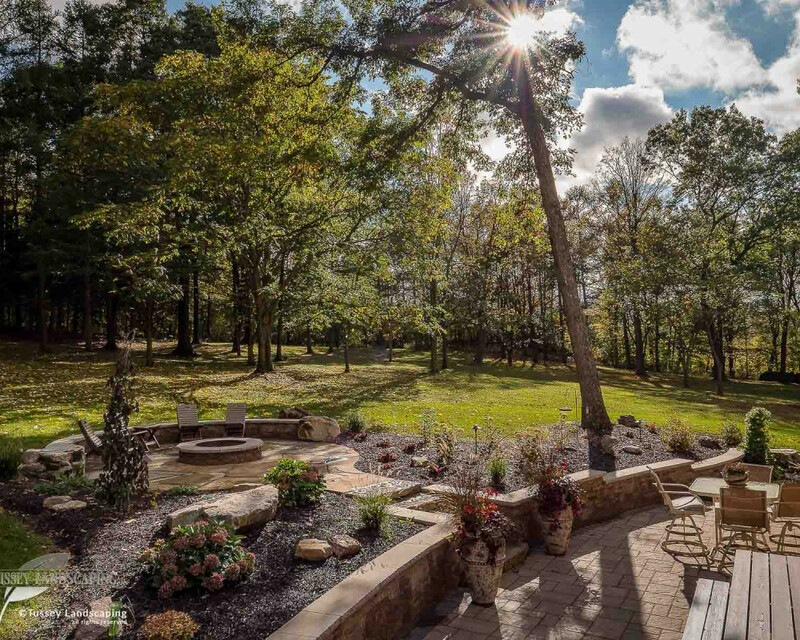 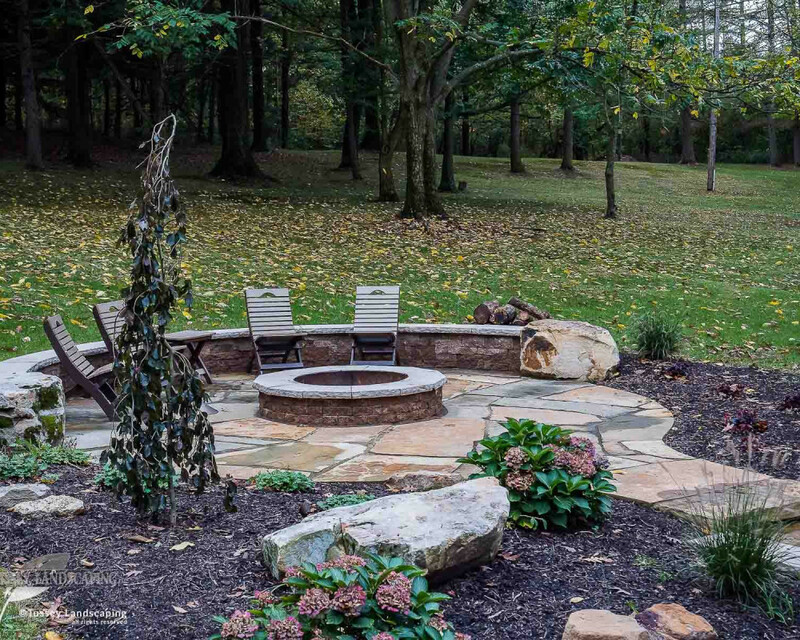 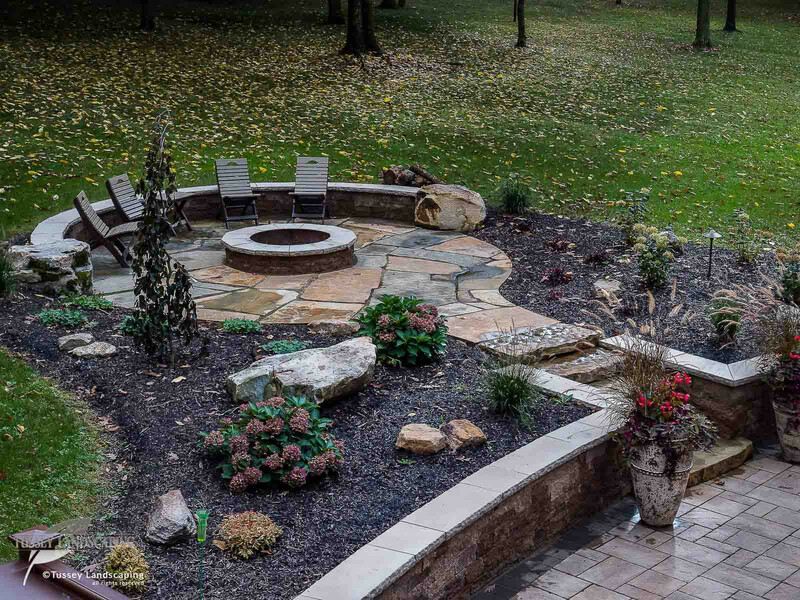 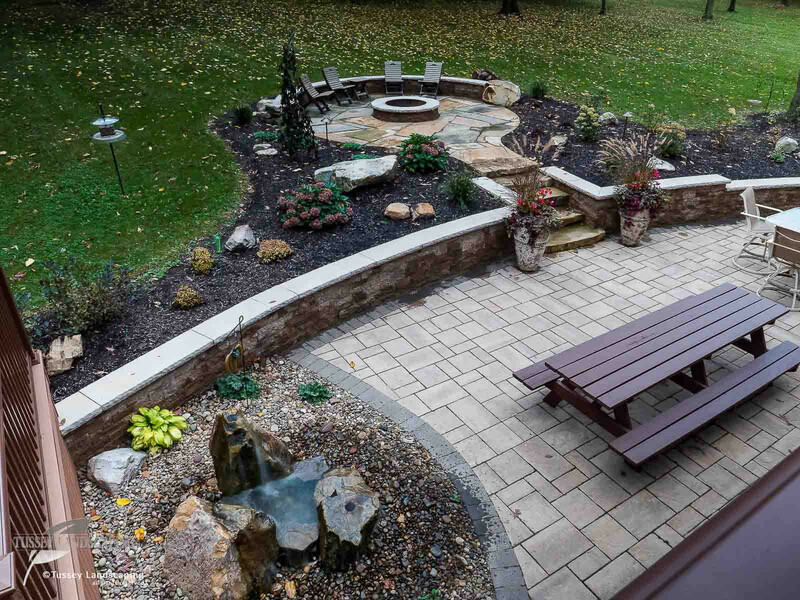 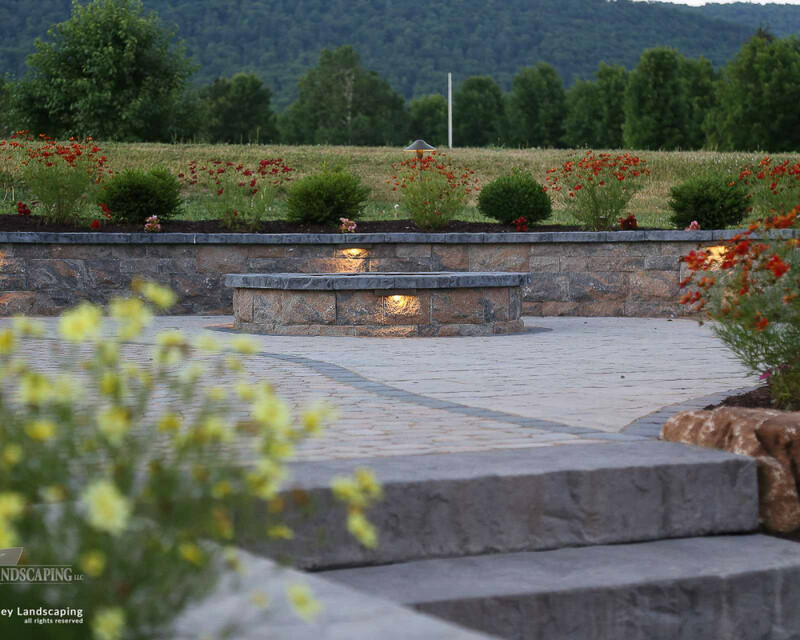 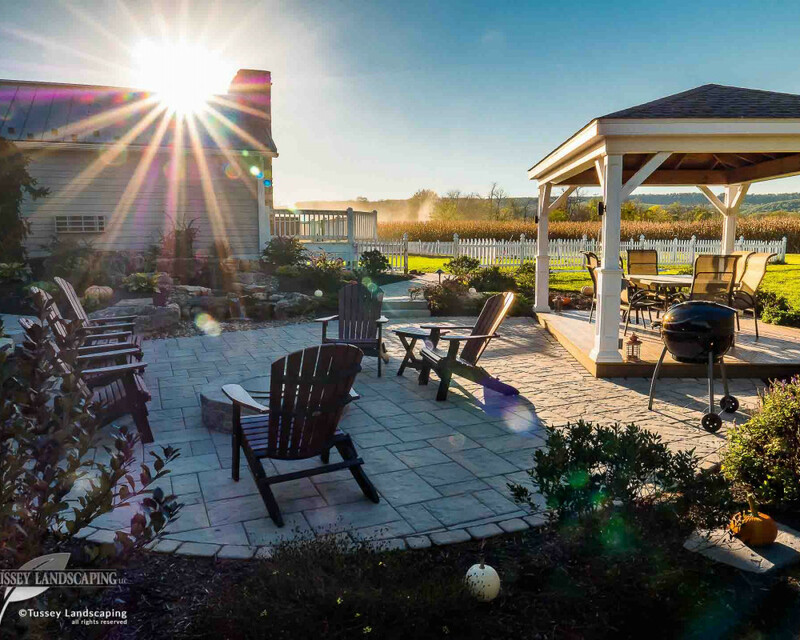 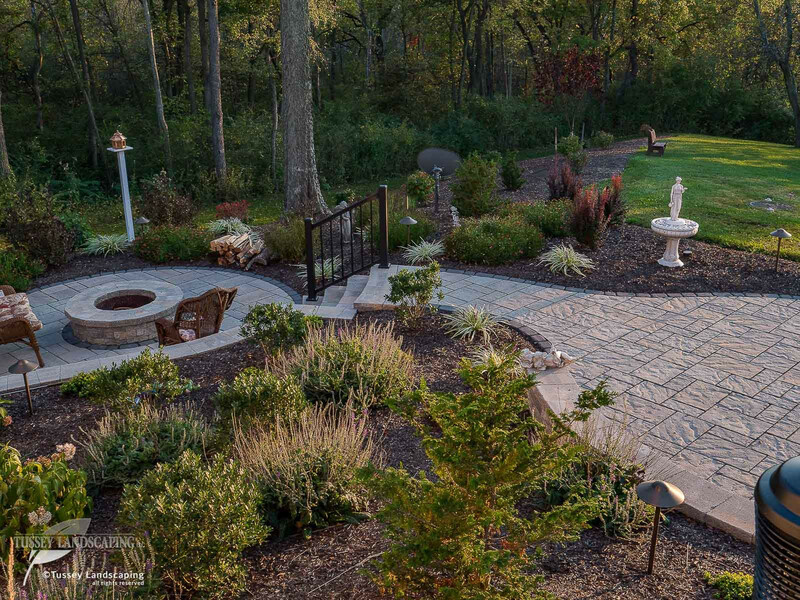 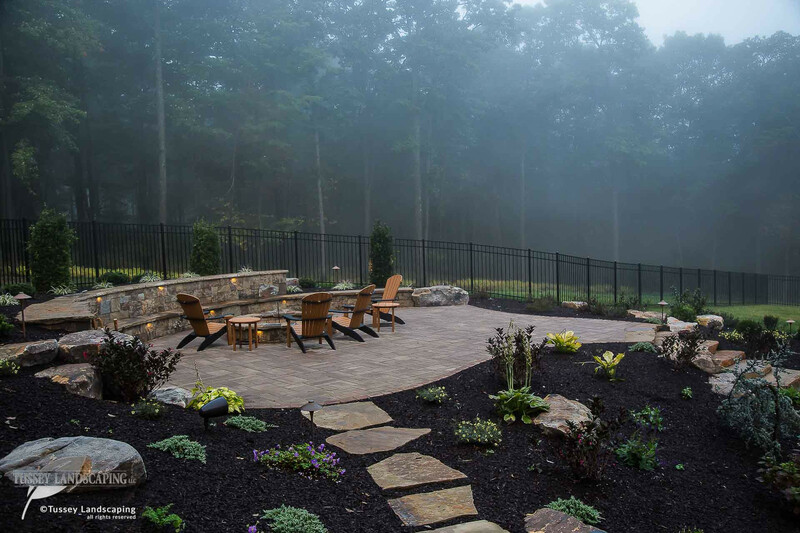 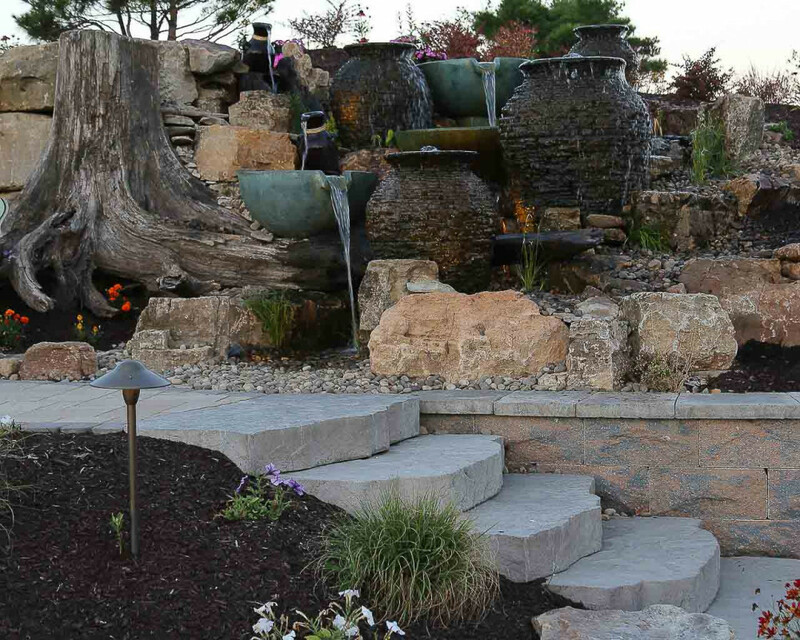 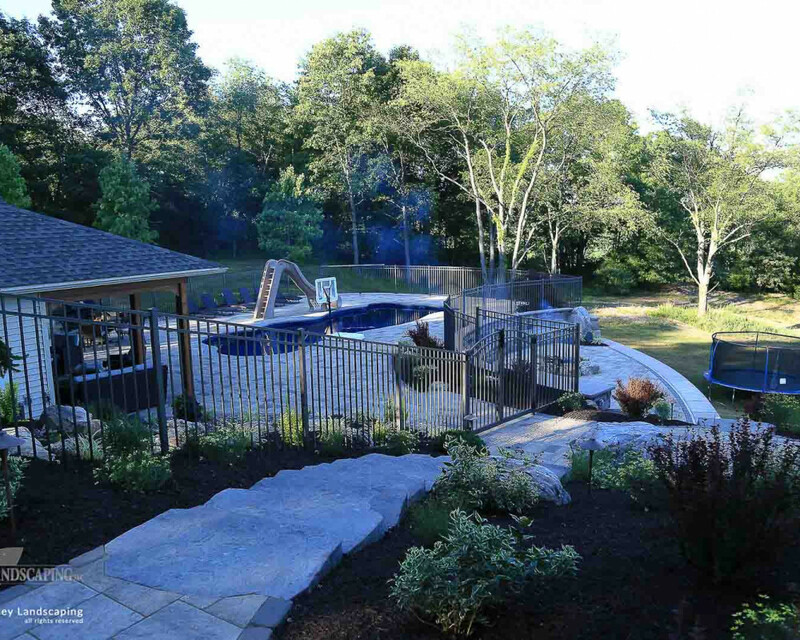 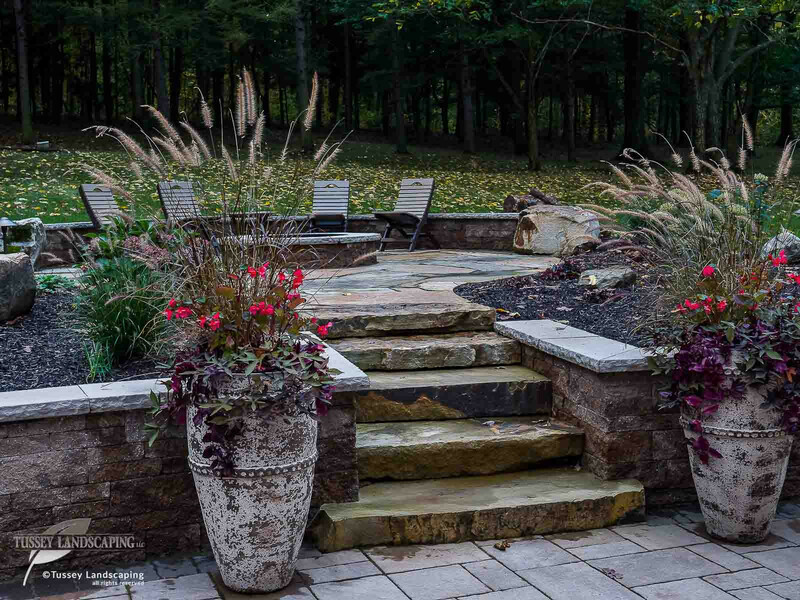 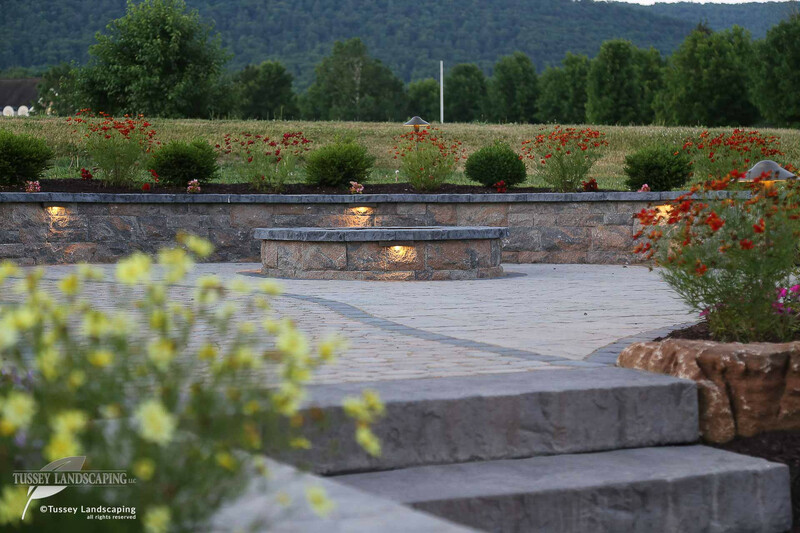 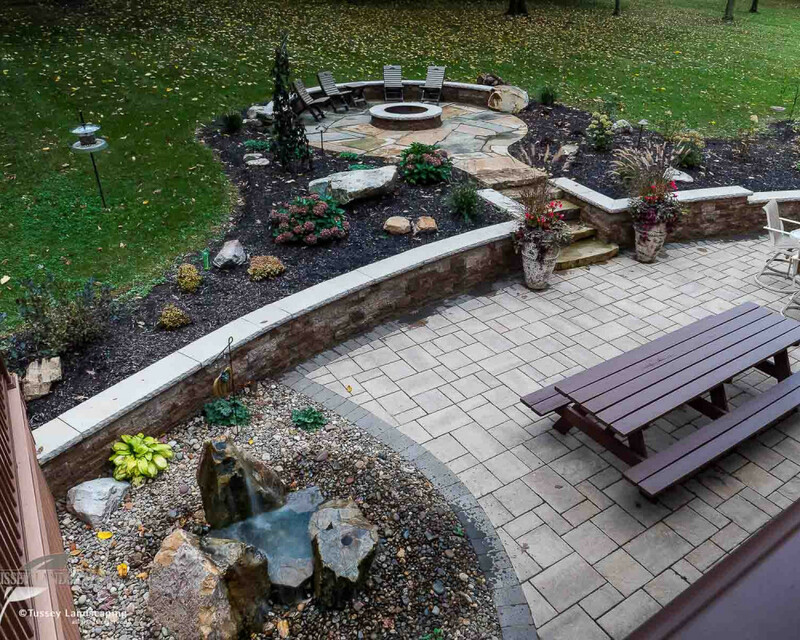 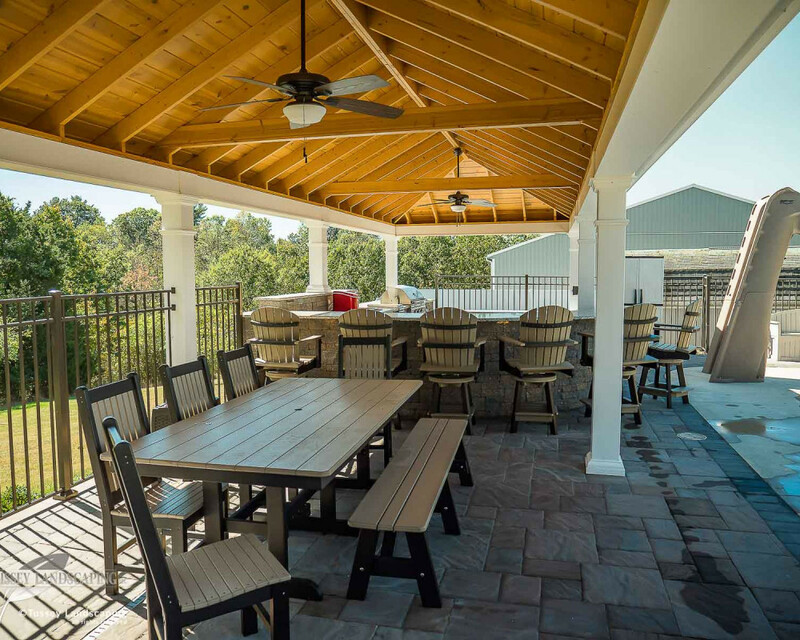 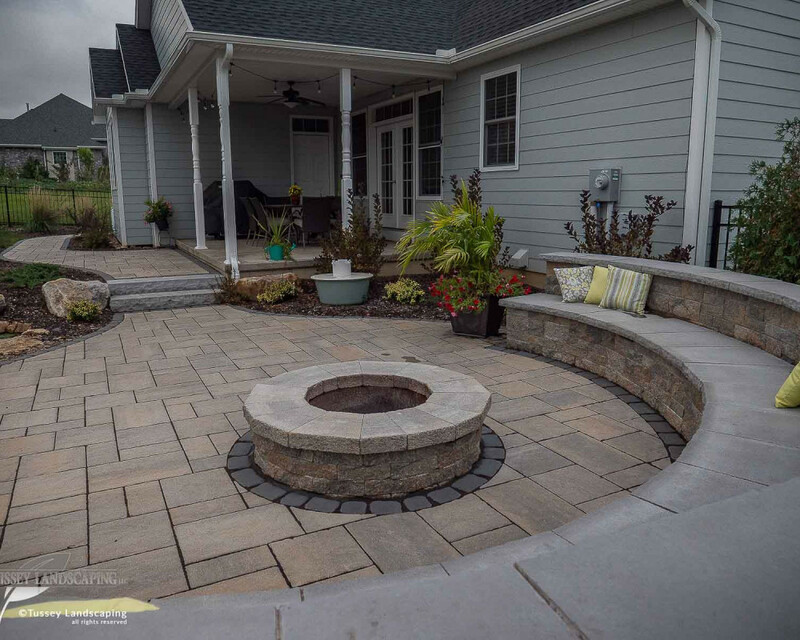 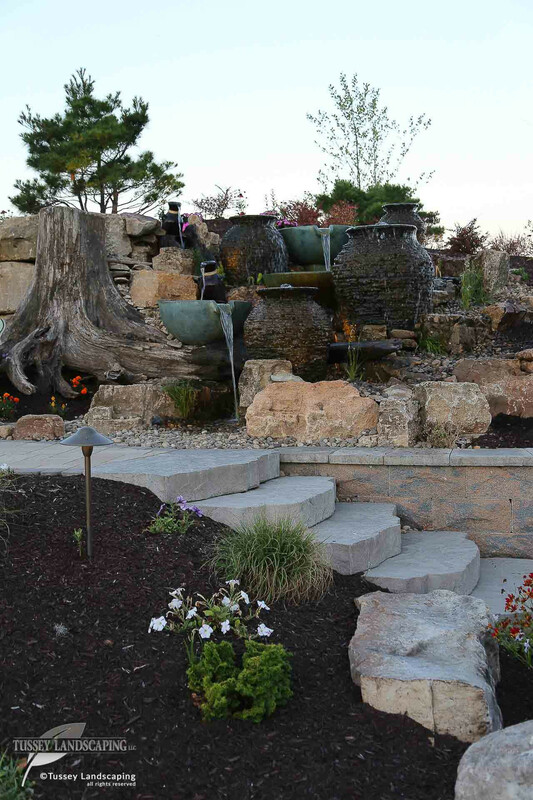 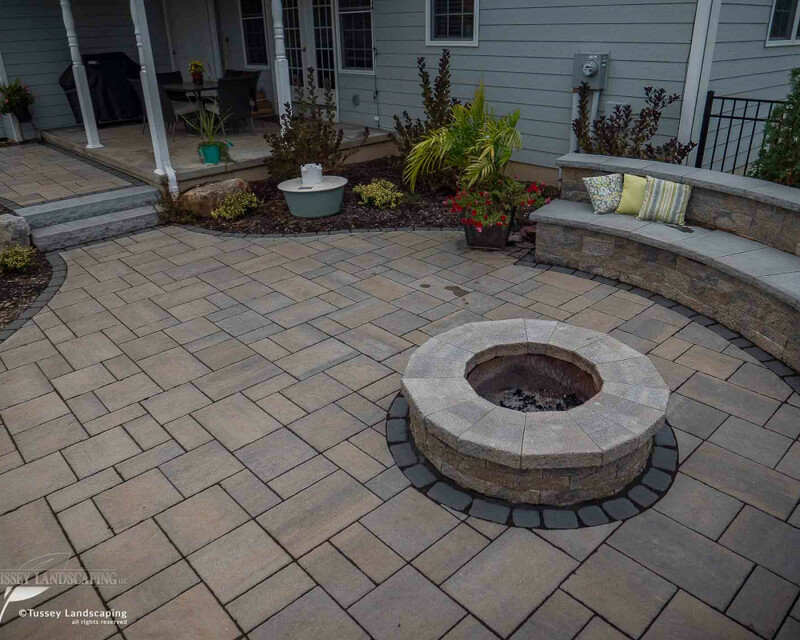 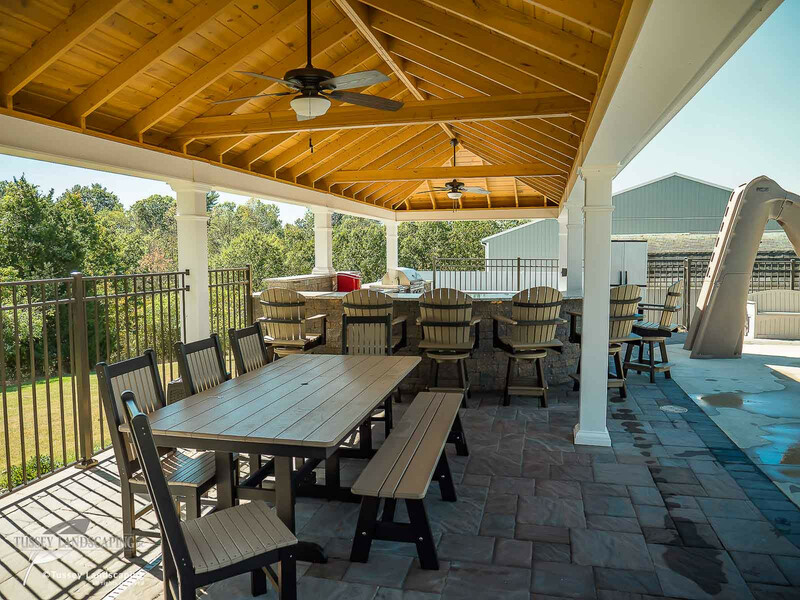 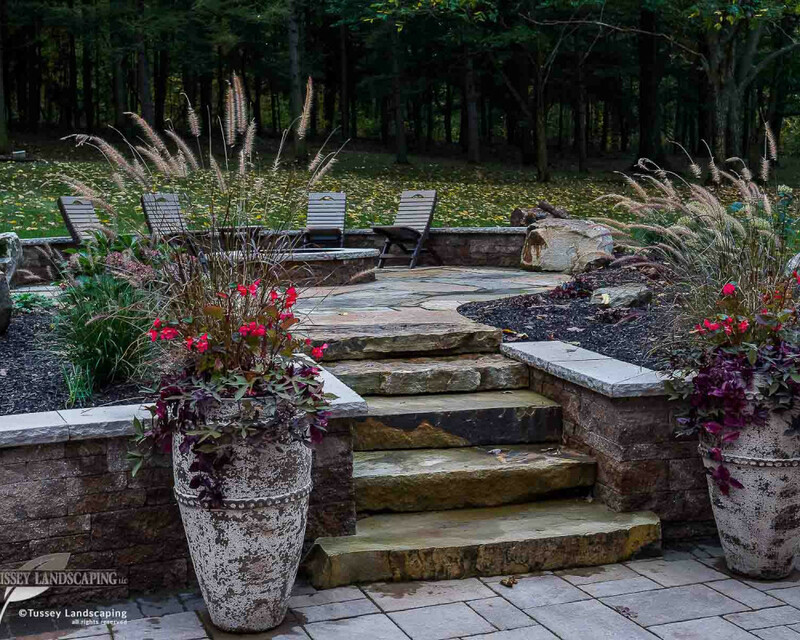 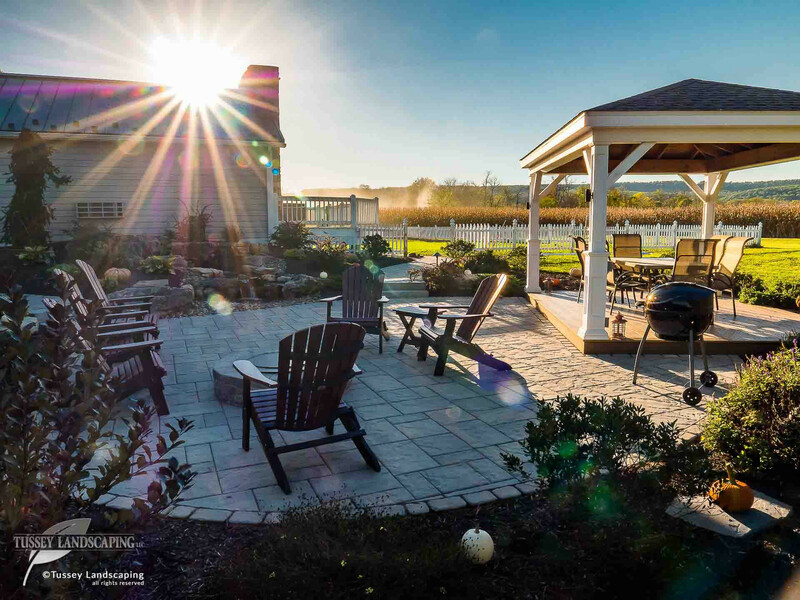 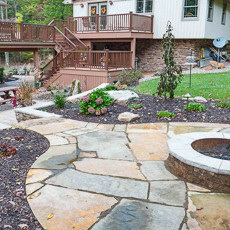 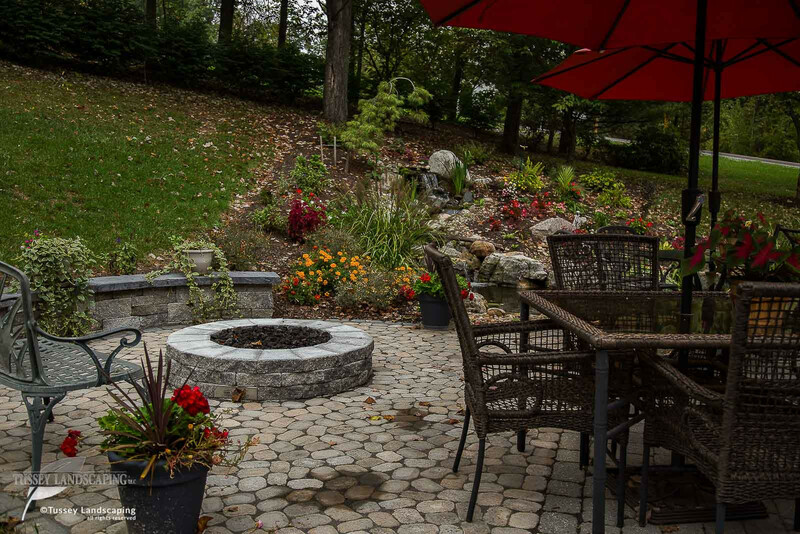 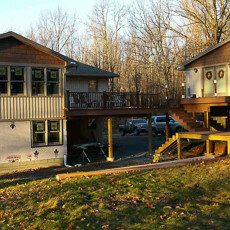 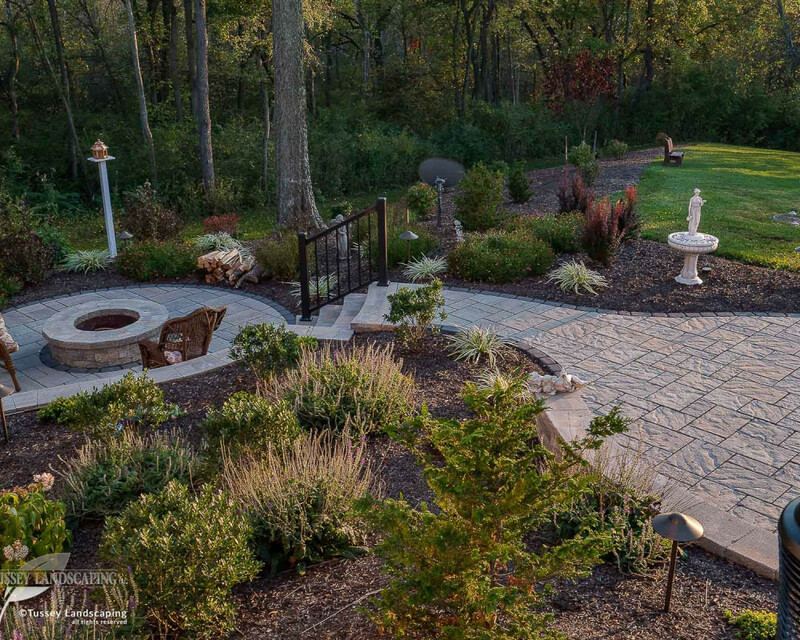 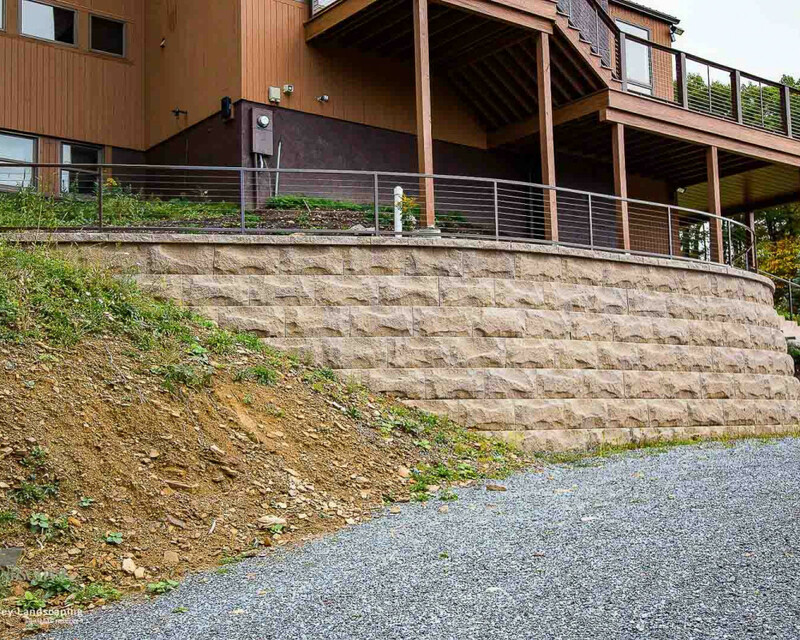 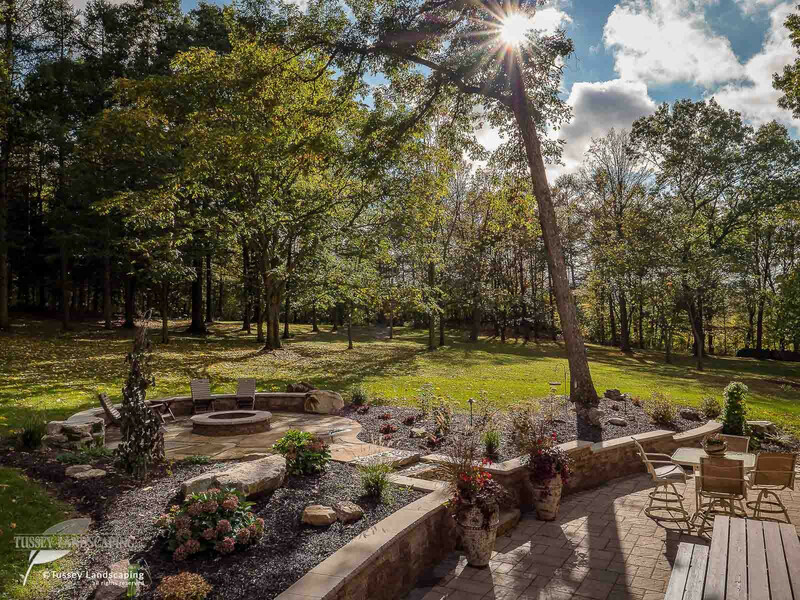 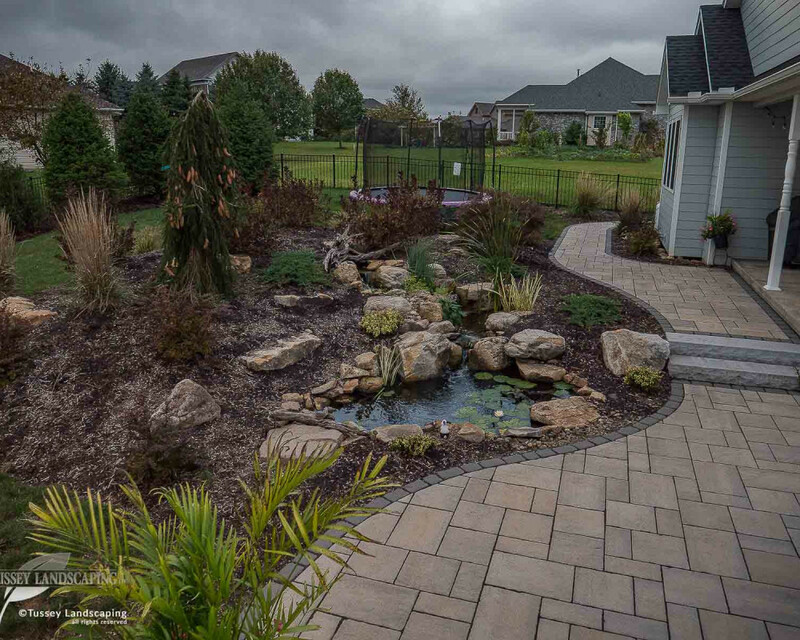 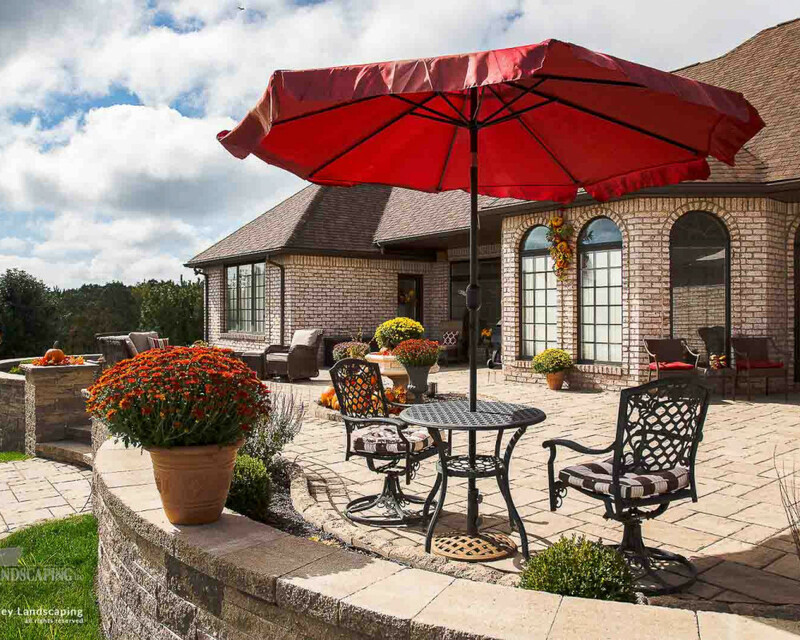 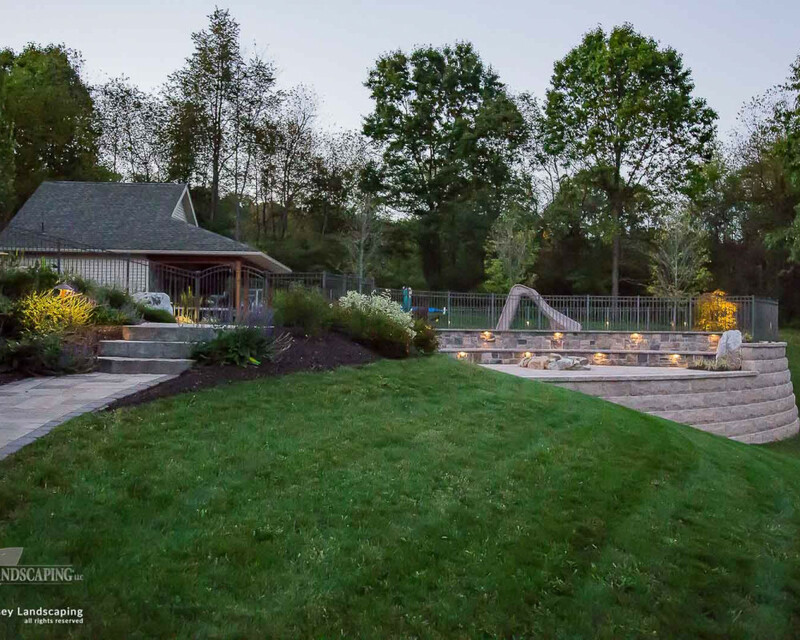 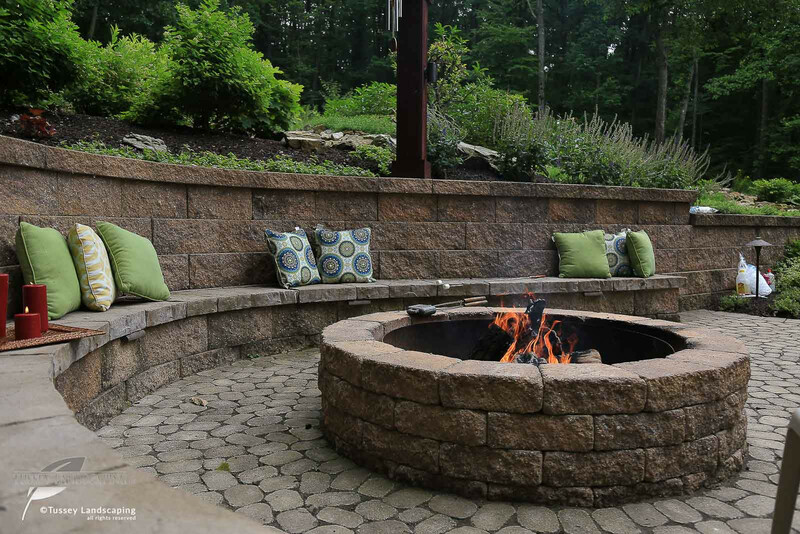 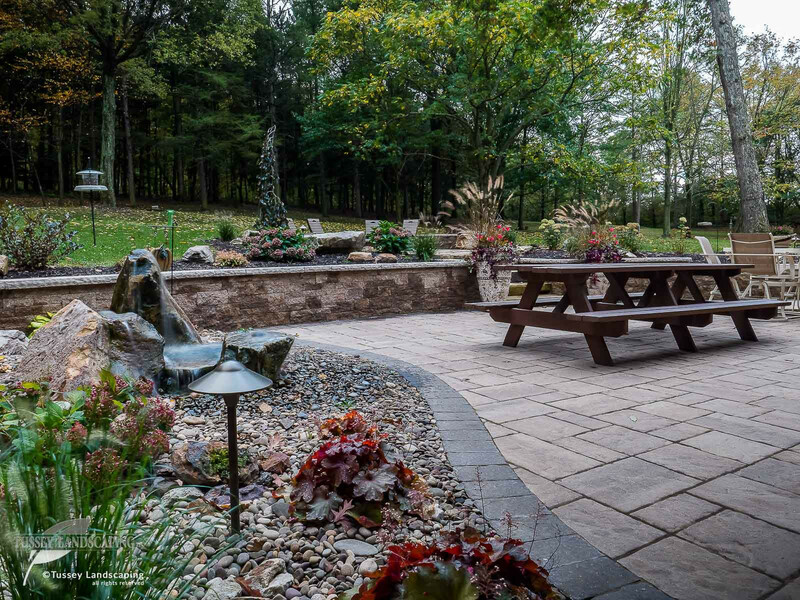 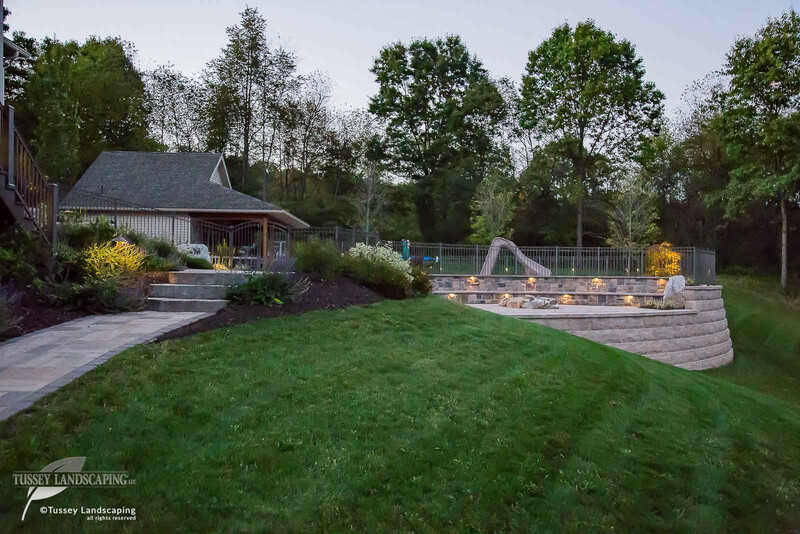 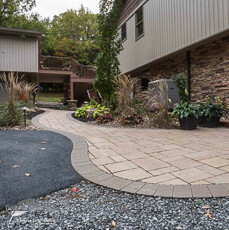 Tussey Landscaping has been installing landscapes & landscaping, Outdoor Living Spaces, hardscapes, backyard ponds & waterfalls, patios & retaining walls, outdoor lighting, and outdoor audio for nearly 3 decades.​ We bring you over a hundred years of combined experience in creating Outdoor Living Spaces in the Altoona, State College, Johnstown, Bedford and surrounding areas. 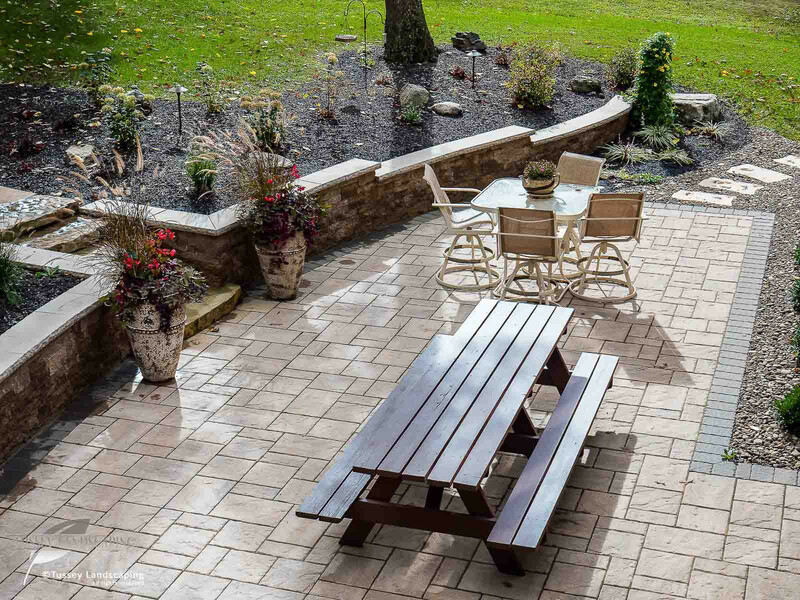 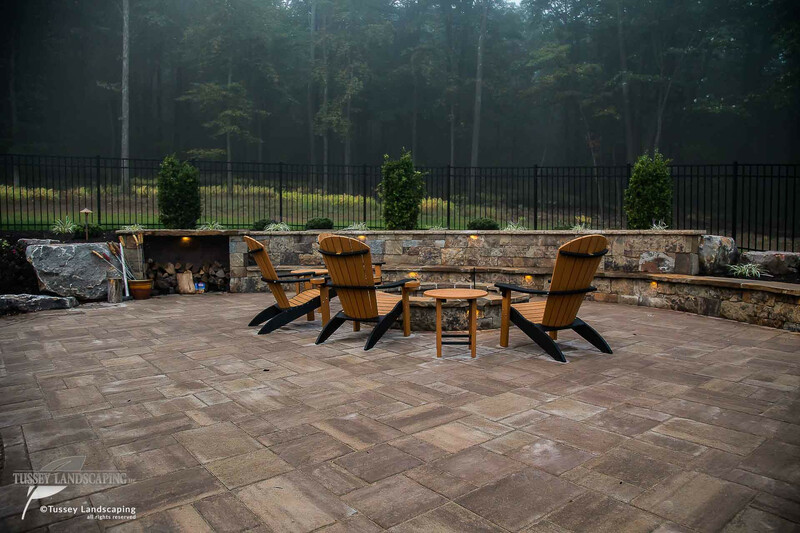 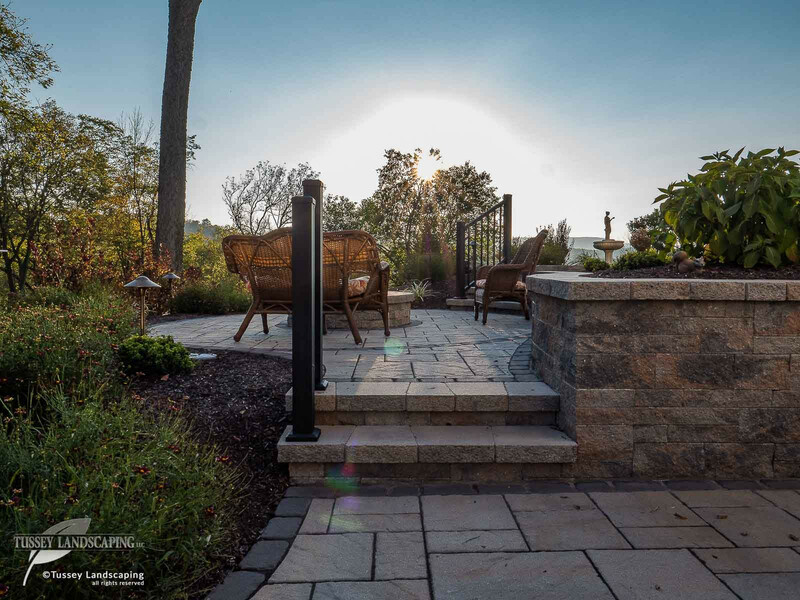 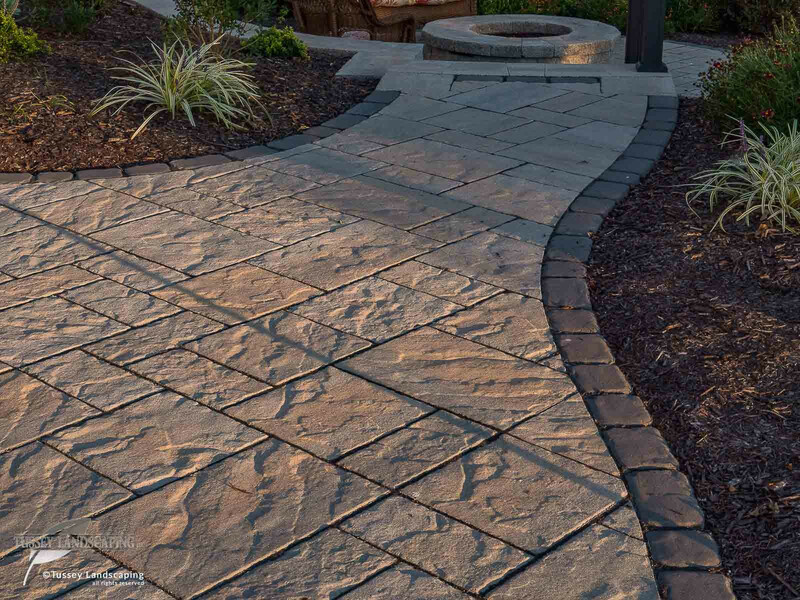 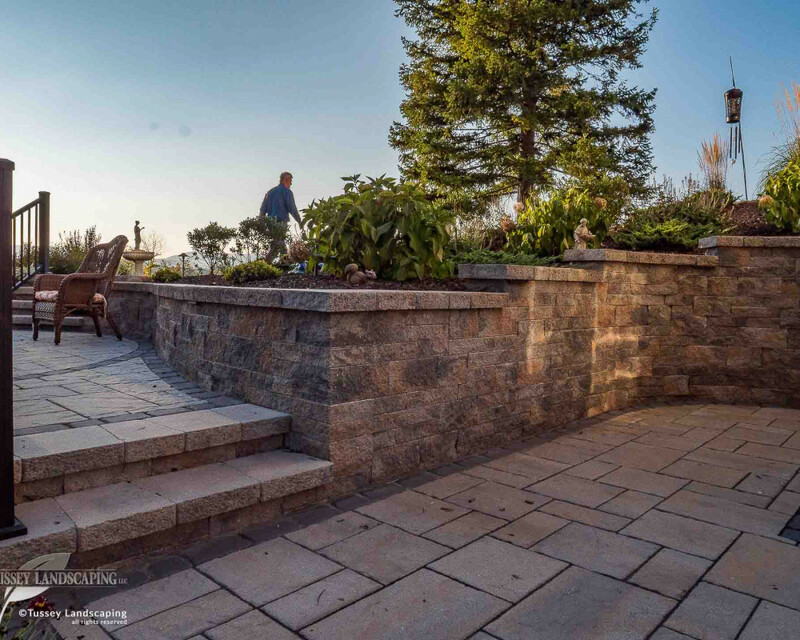 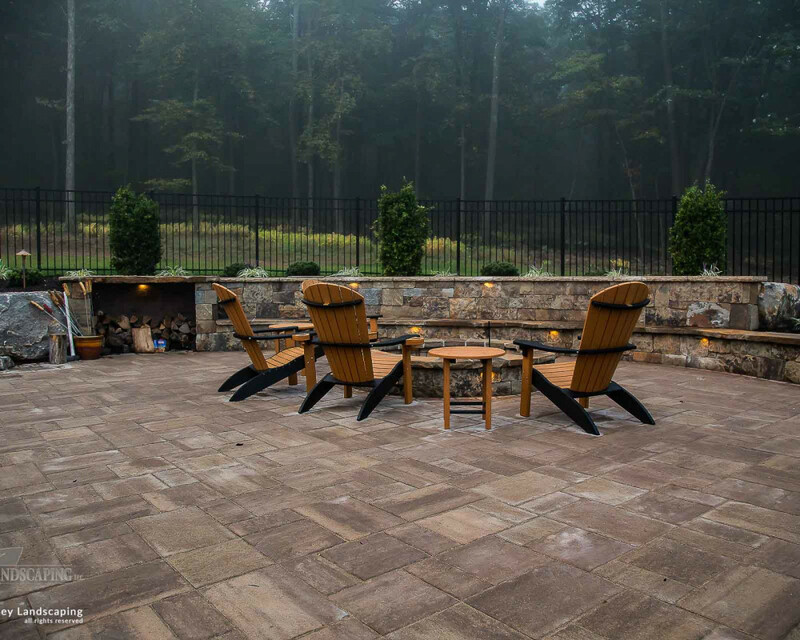 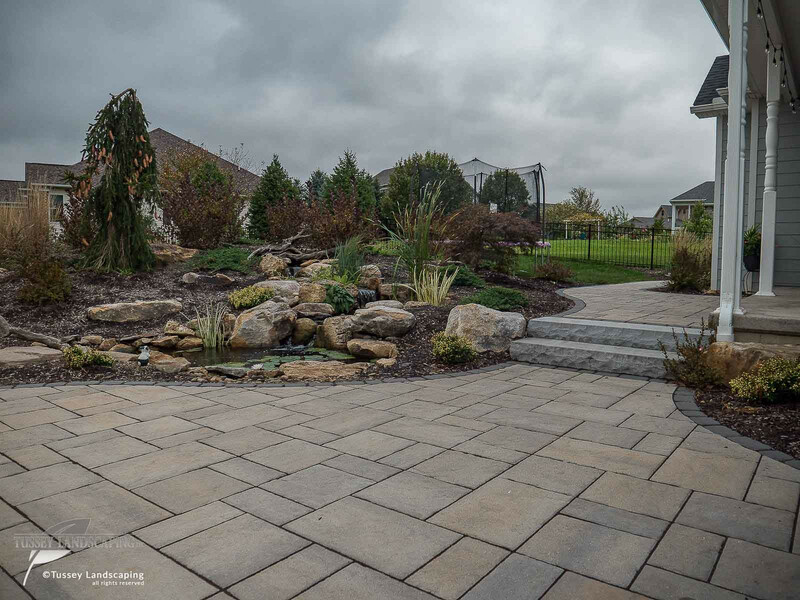 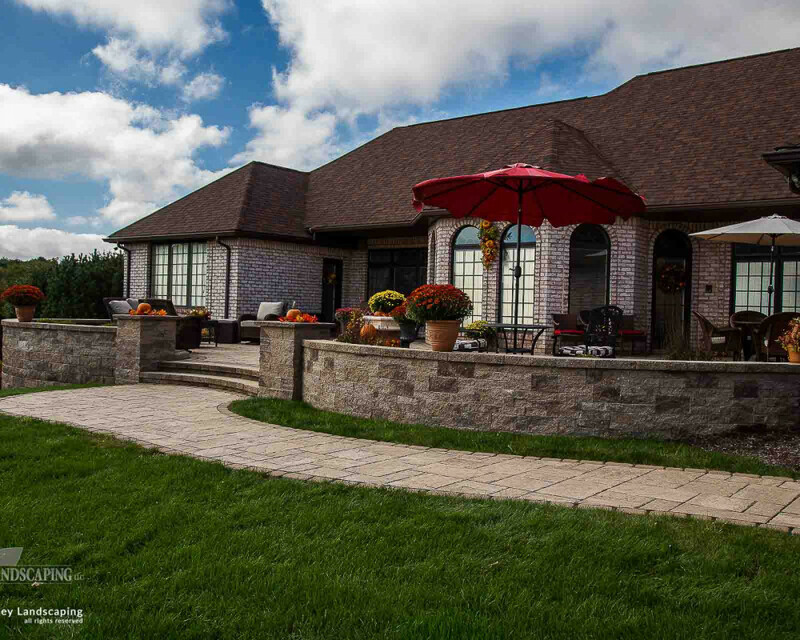 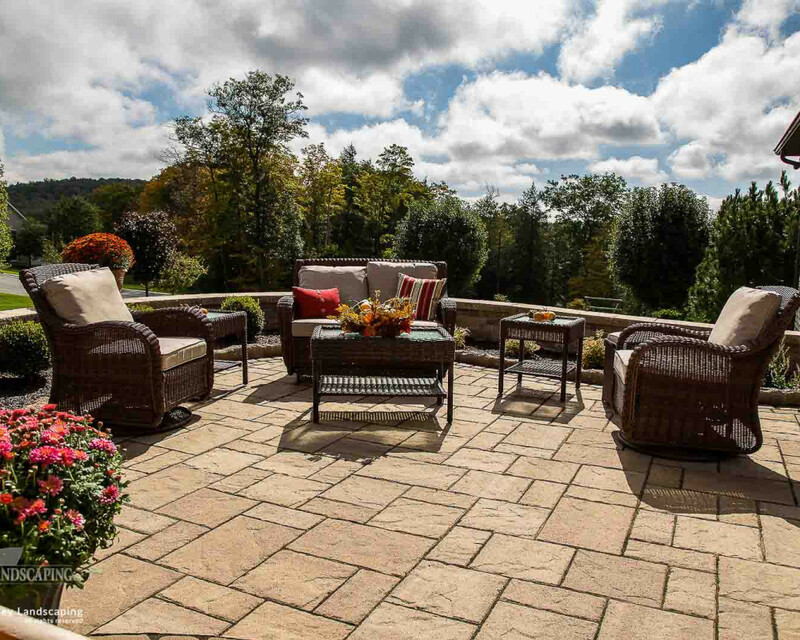 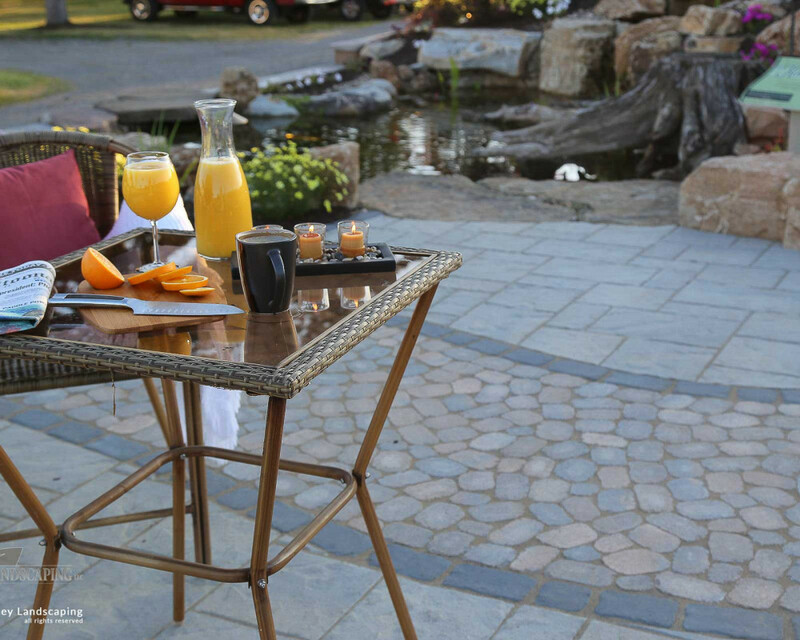 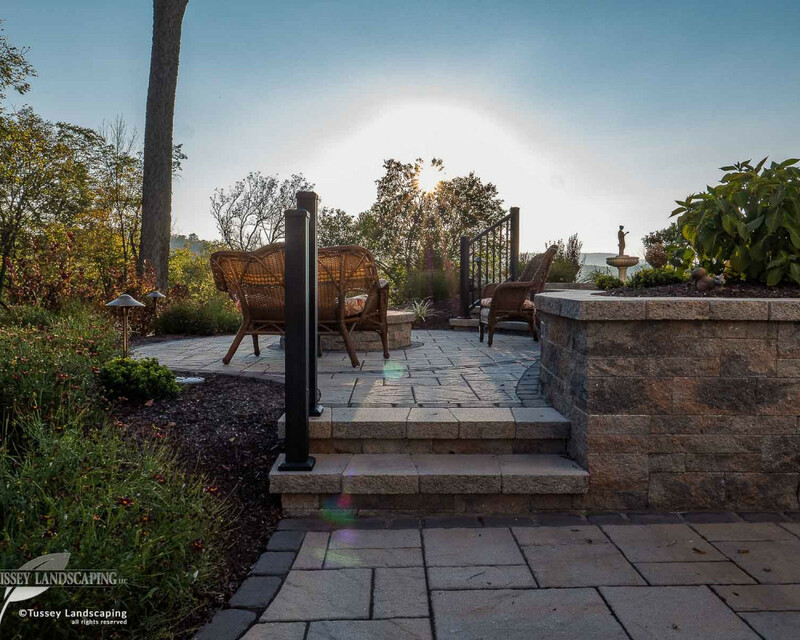 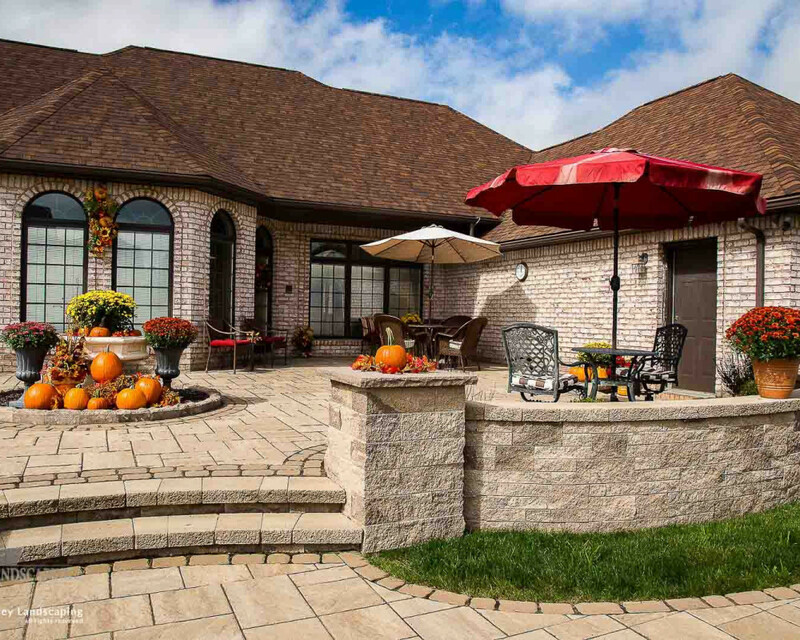 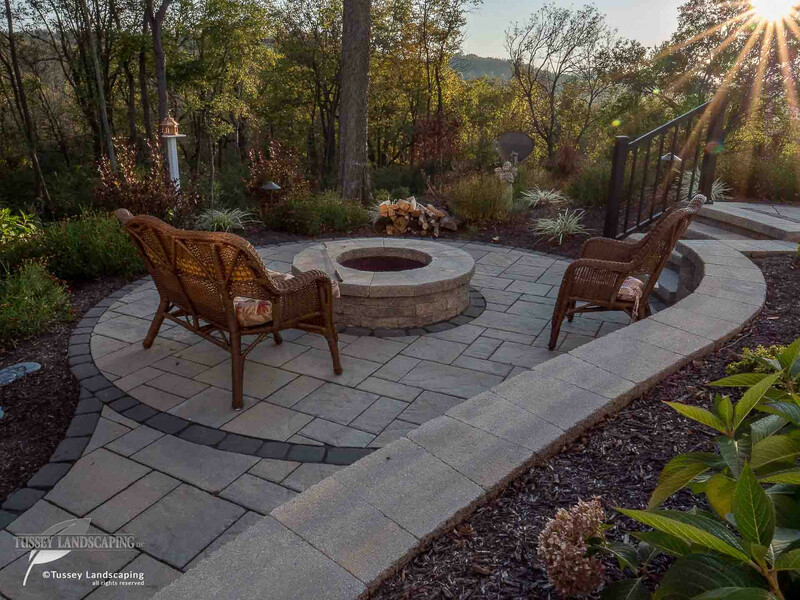 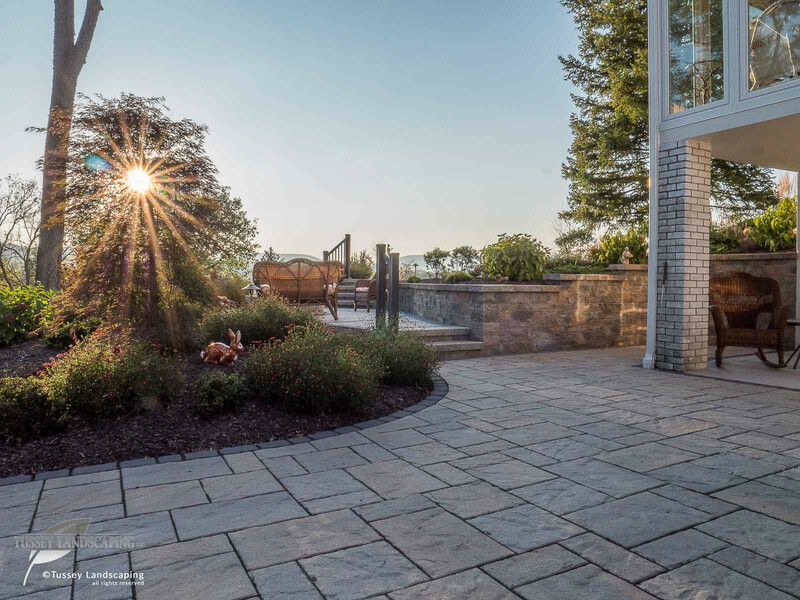 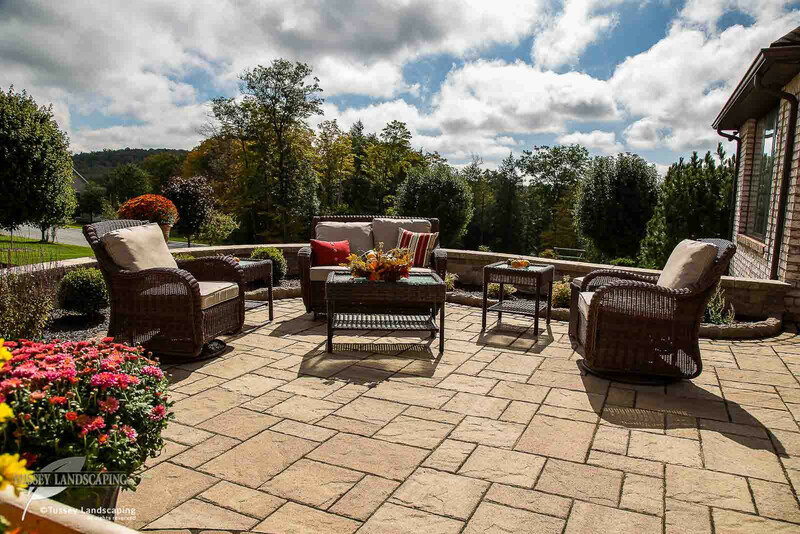 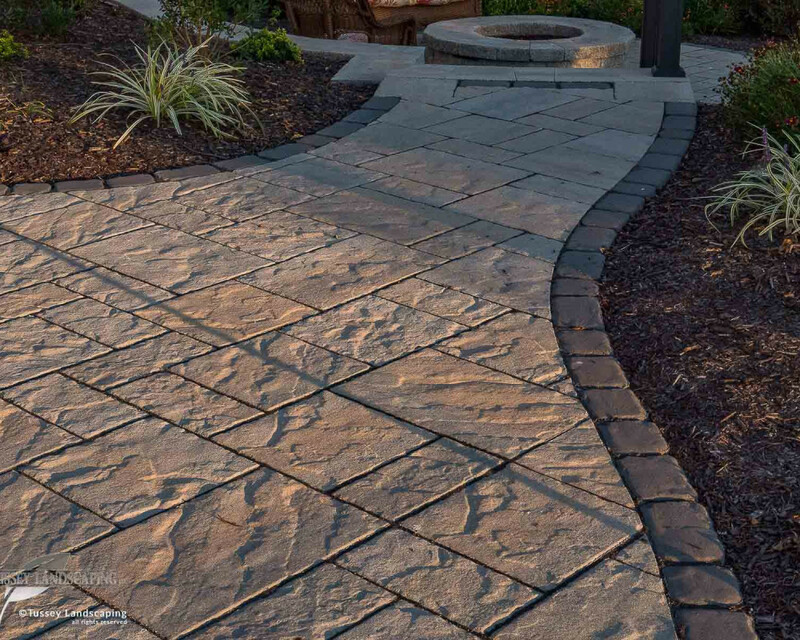 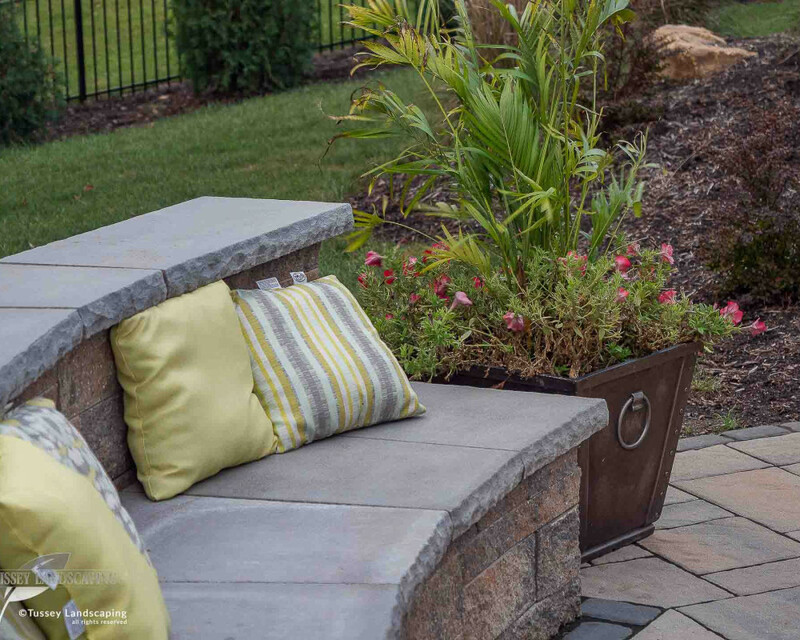 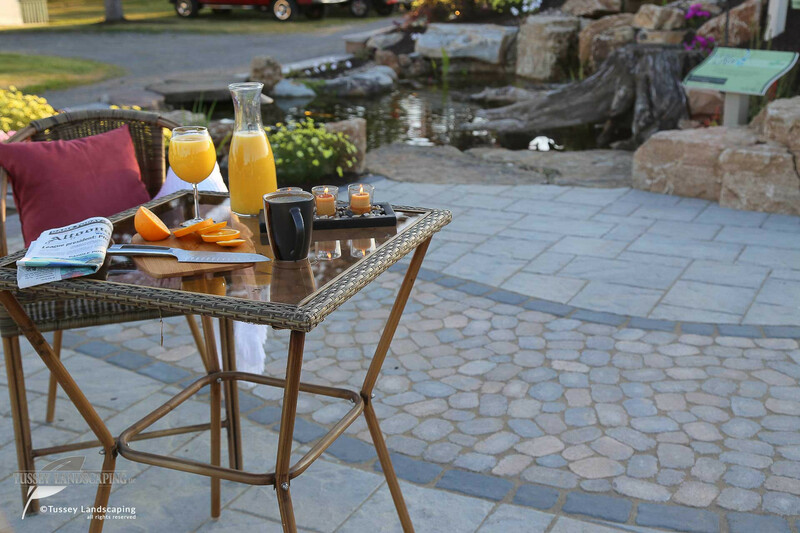 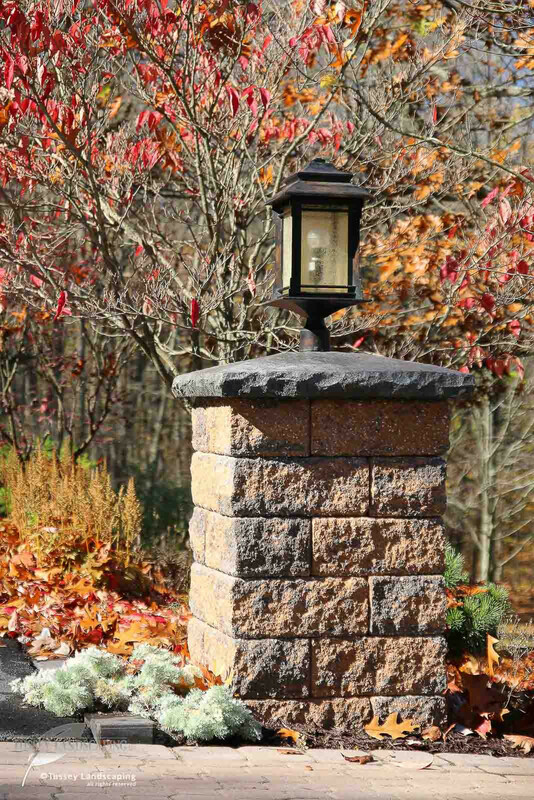 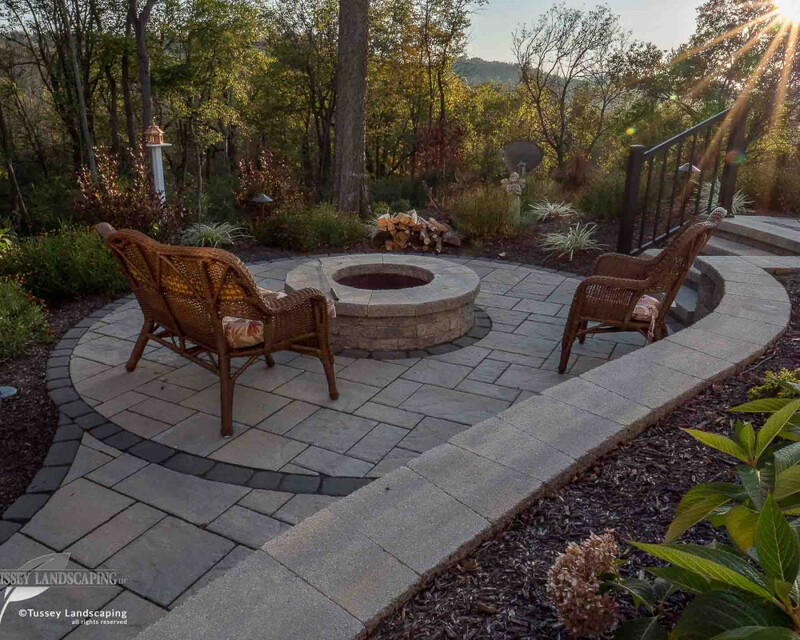 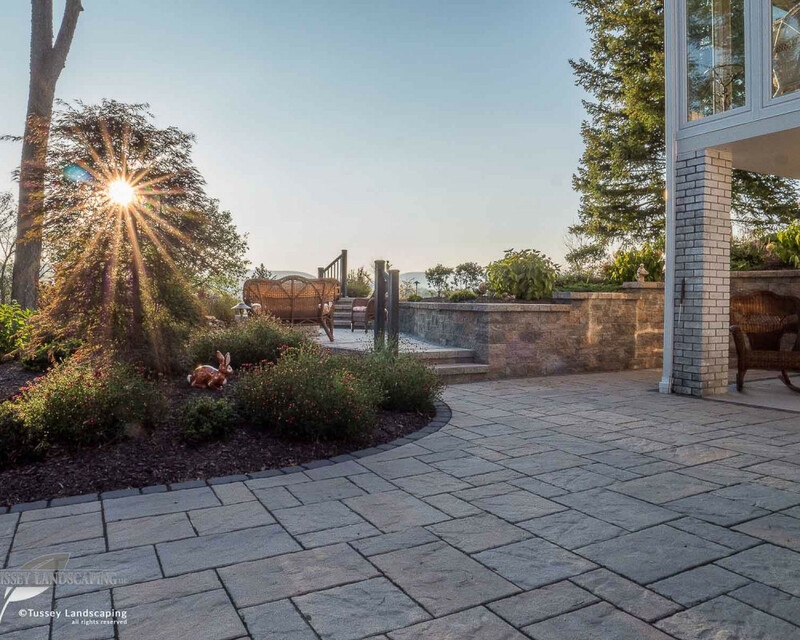 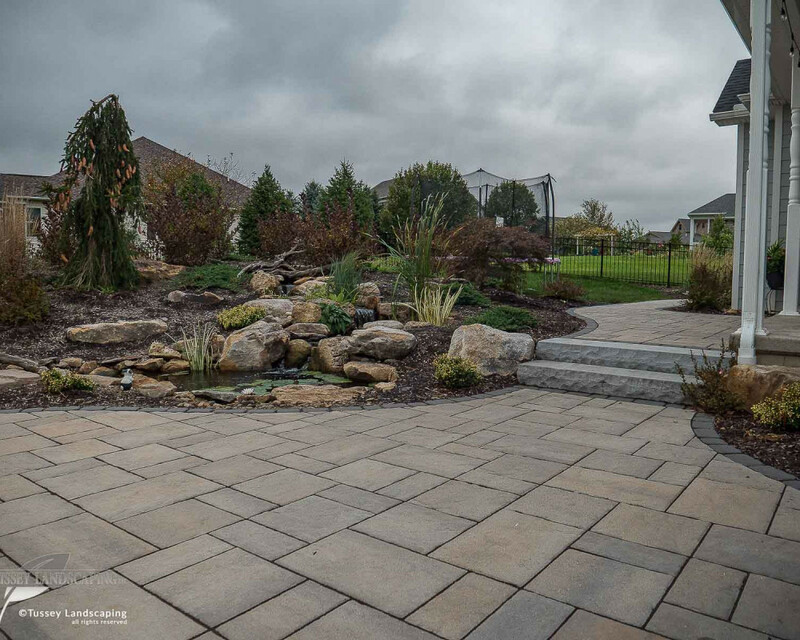 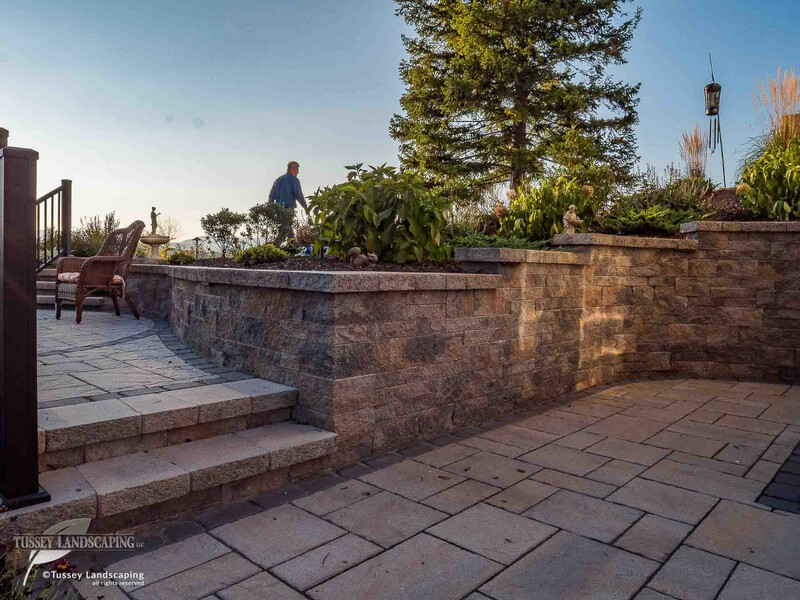 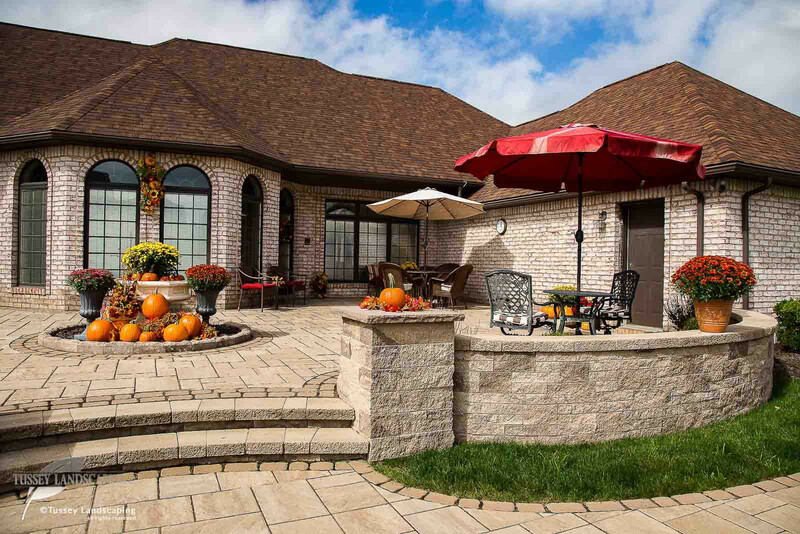 Tussey offers a lifetime warranty on hardscape construction, along with a lifetime warranty on Techo Bloc Products. 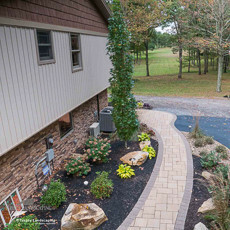 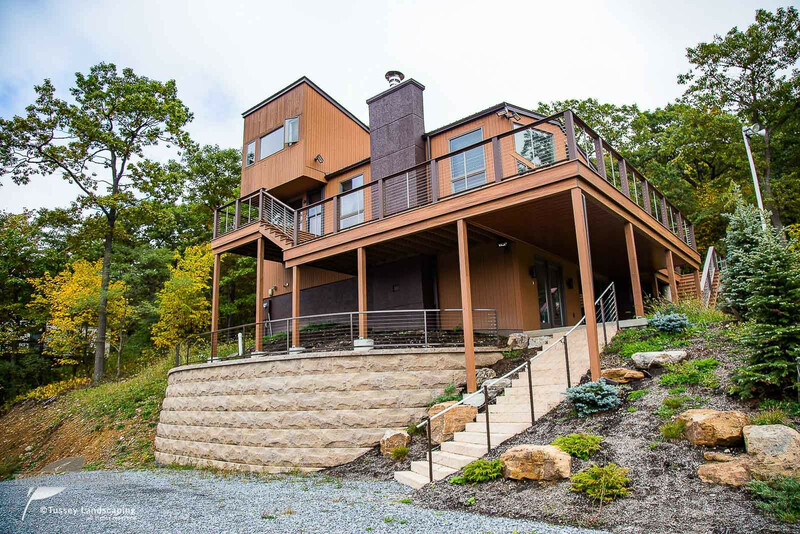 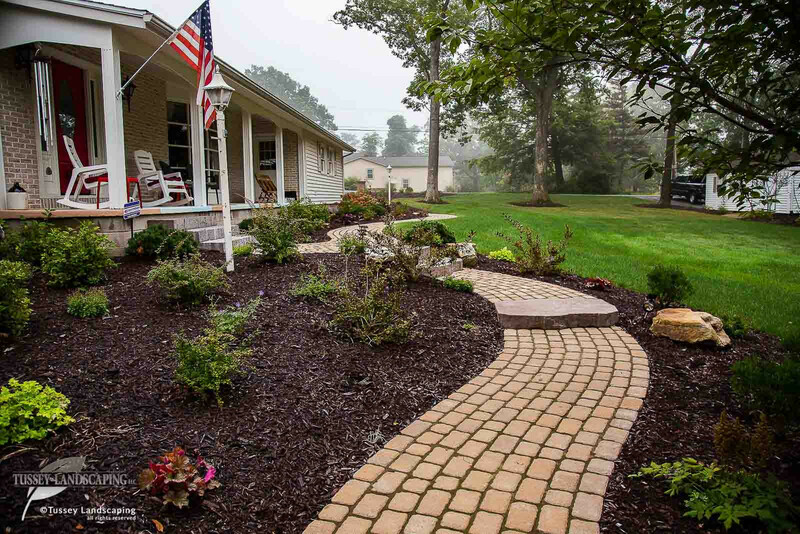 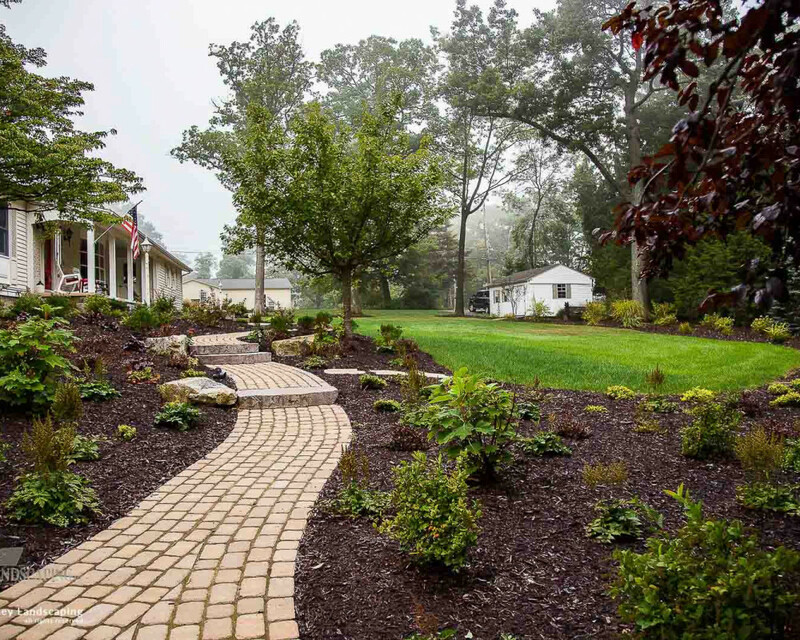 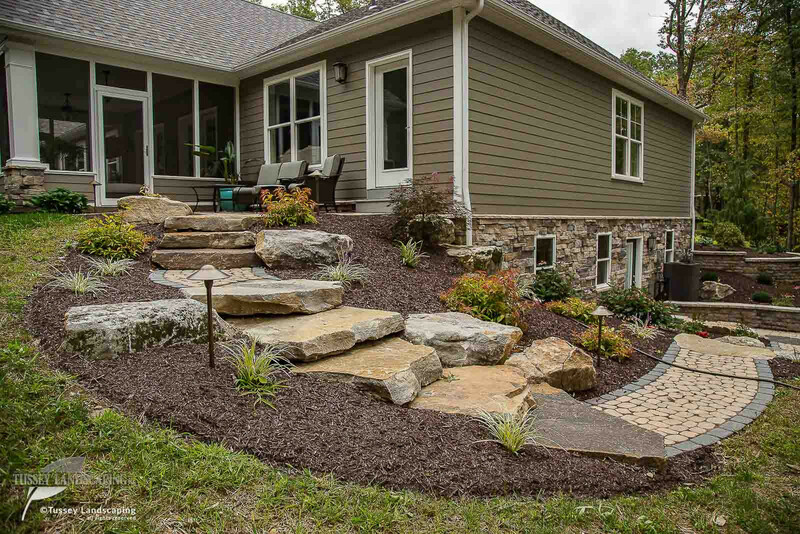 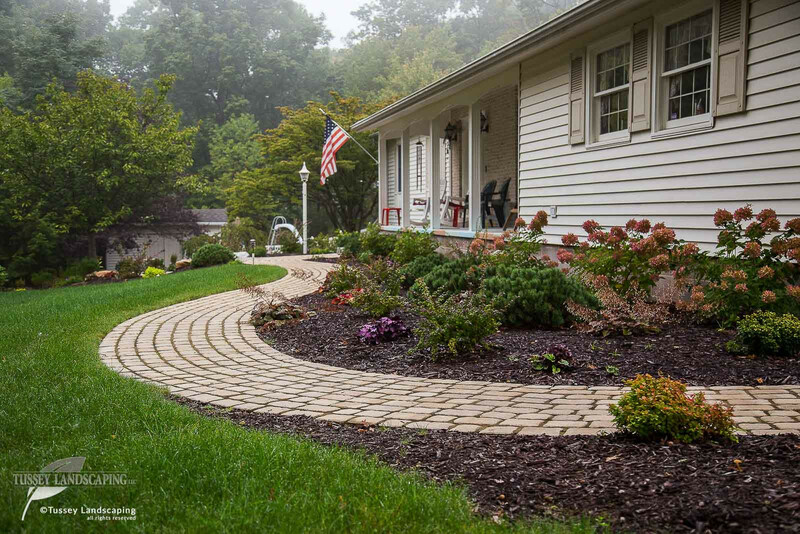 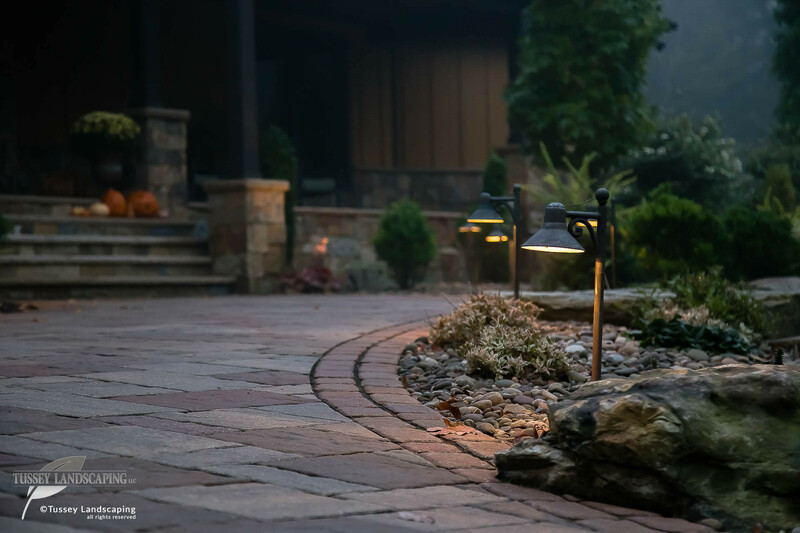 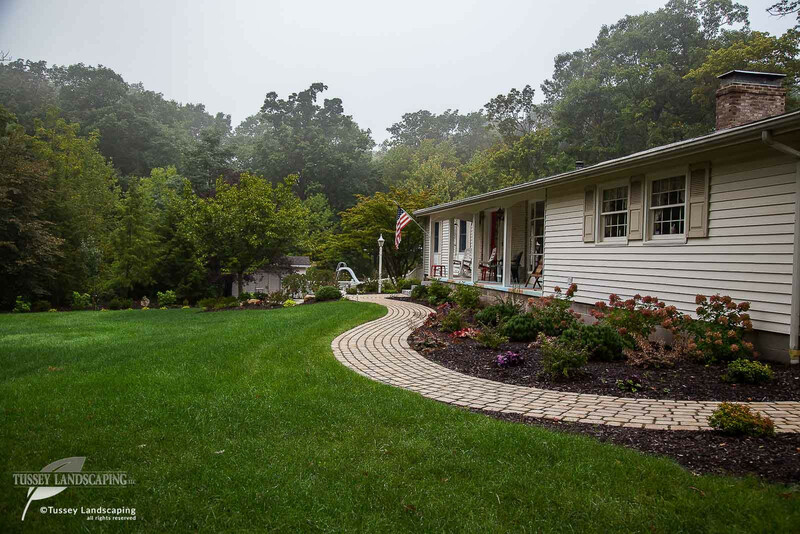 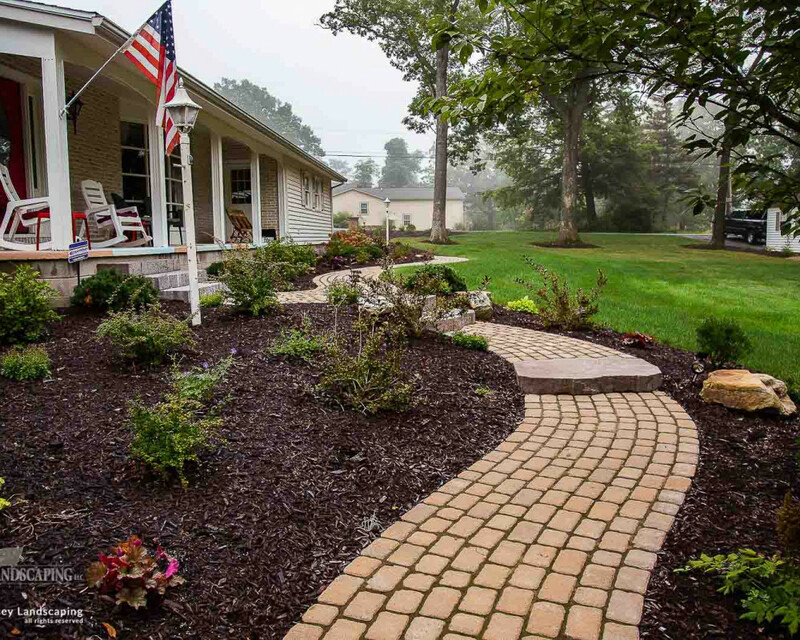 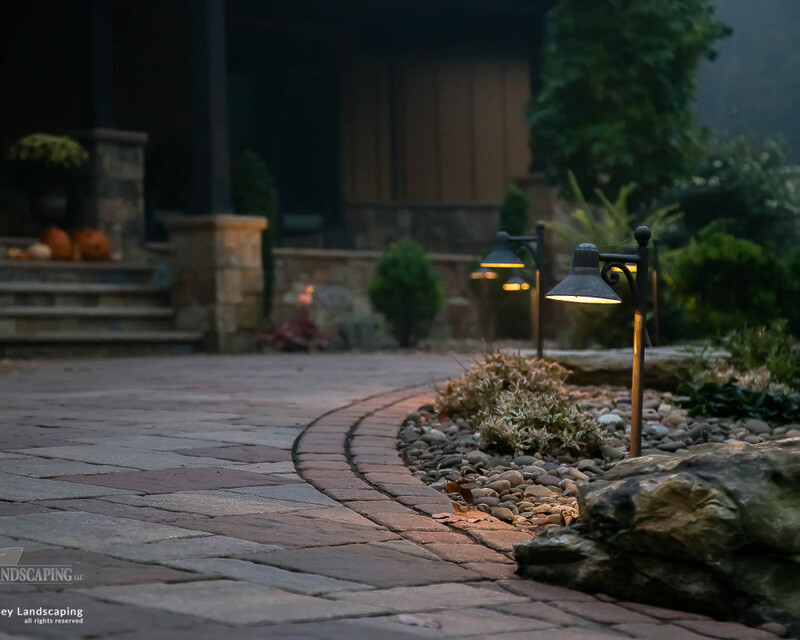 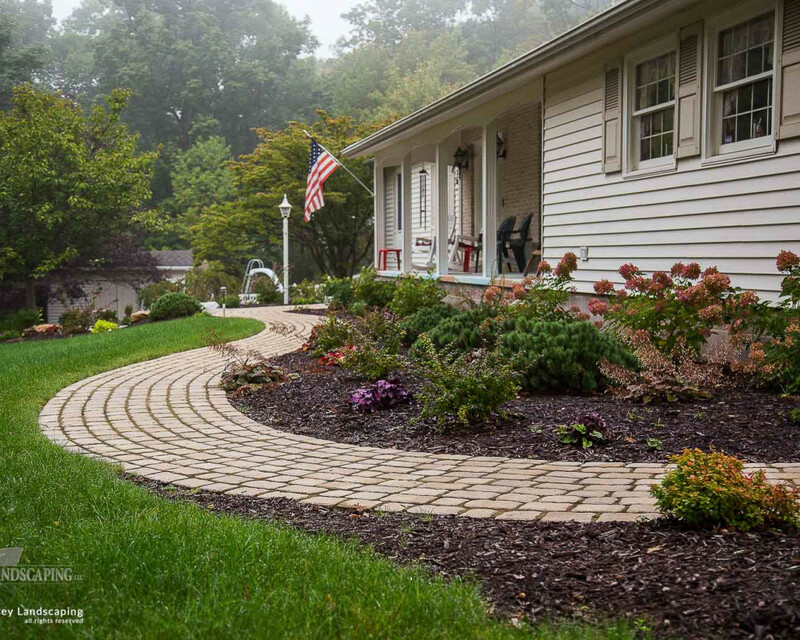 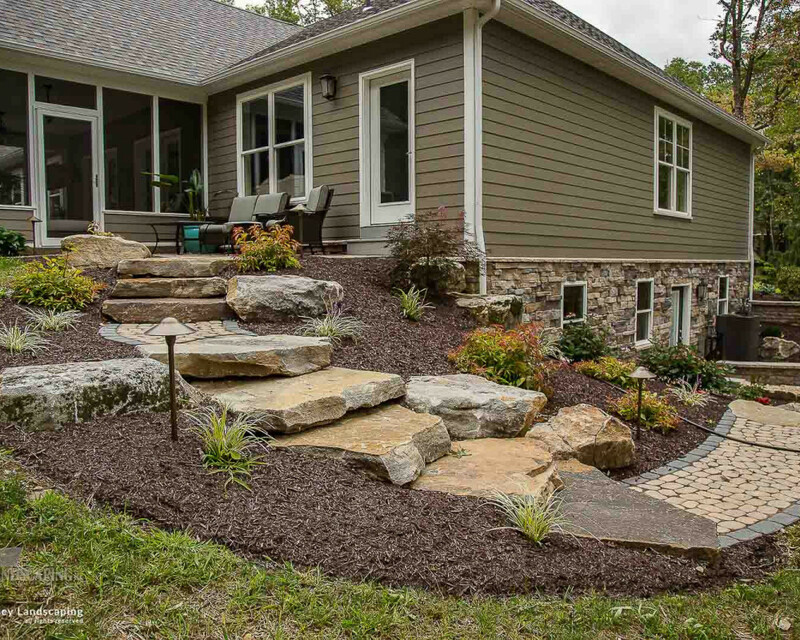 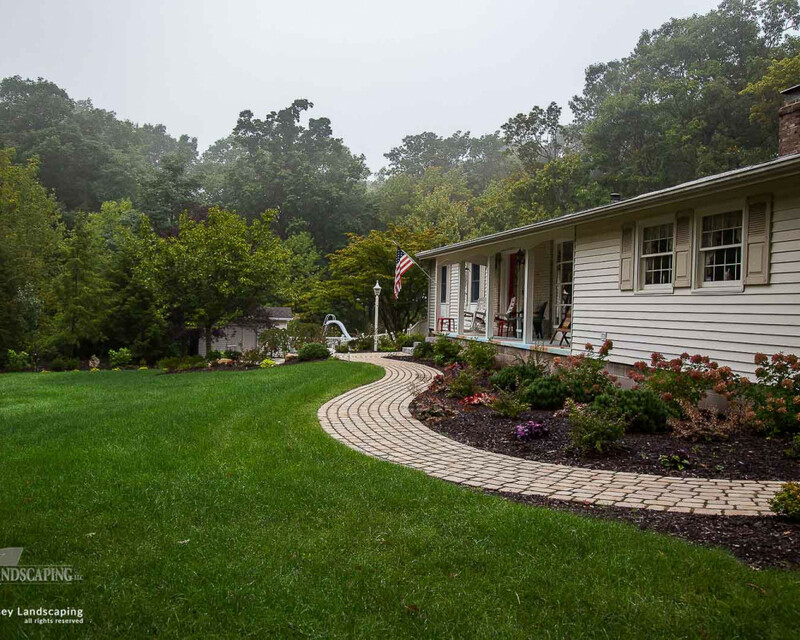 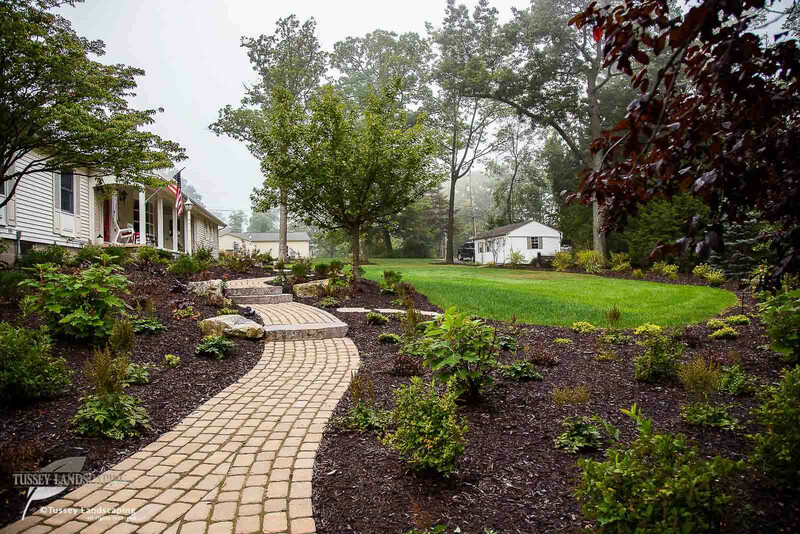 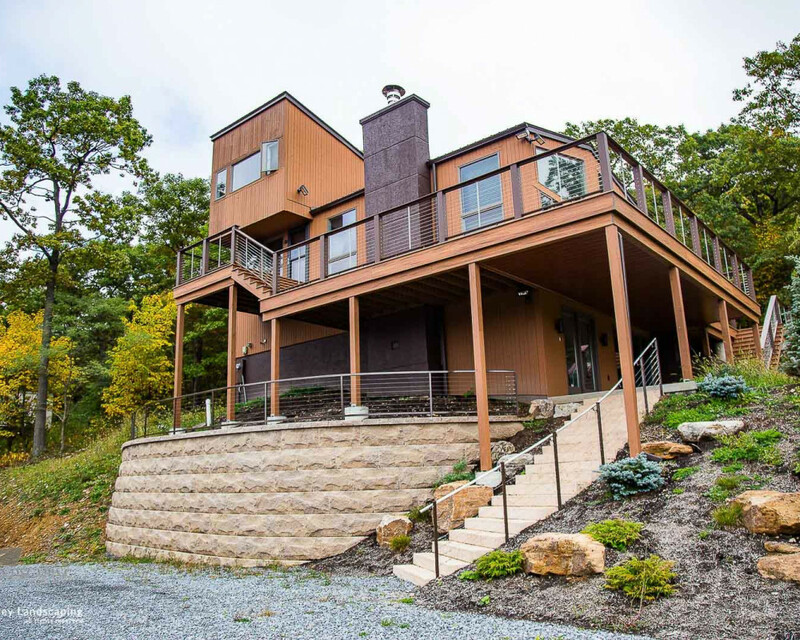 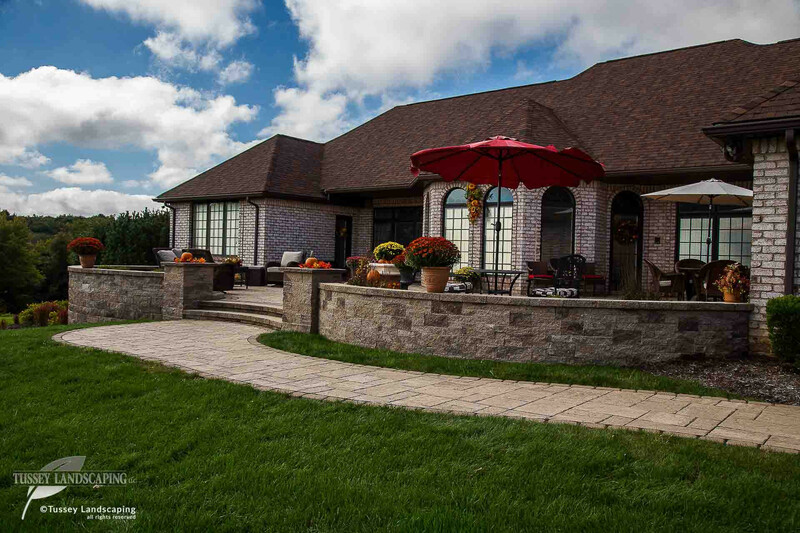 We started with no landscaping at all, just a stone driveway and incorporated a wide sidewalk, landscaping, natural mountain boulders, and trees. 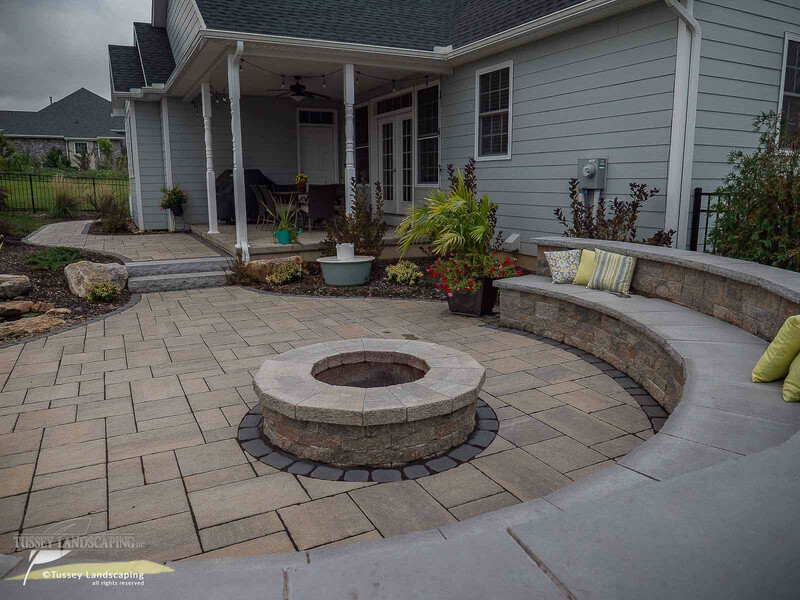 The same backyard with nothing done in it, we did a bunch of reshaping of the existing grades and installed a large back patio, natural stone steps, leading up to this natural flagstone patio and Techo firepit and seating wall. 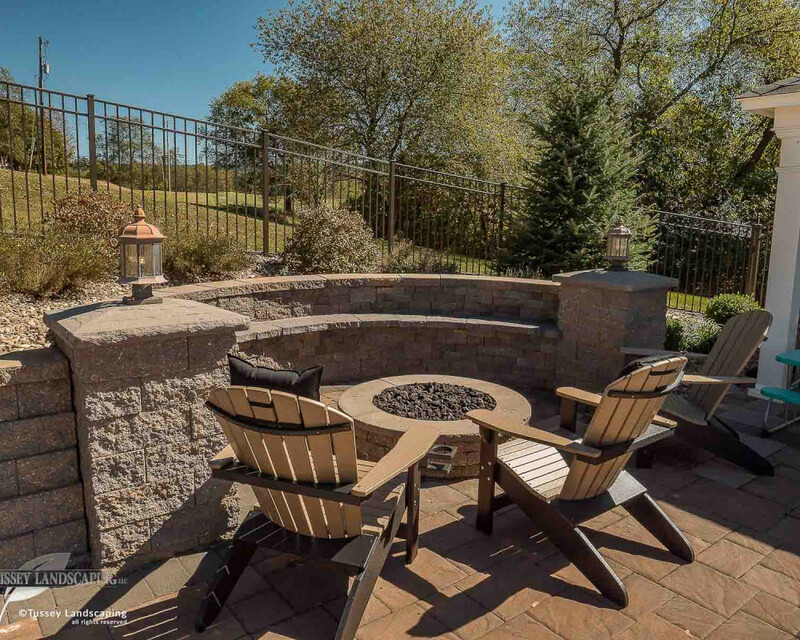 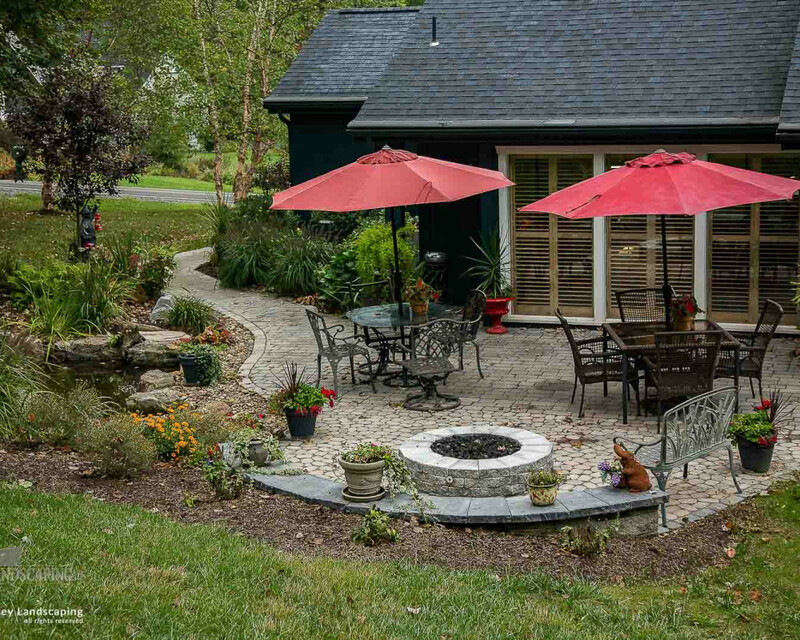 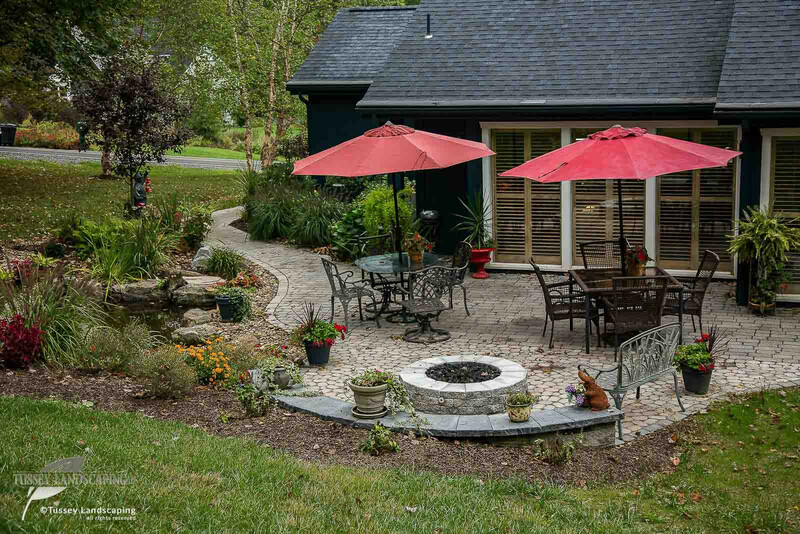 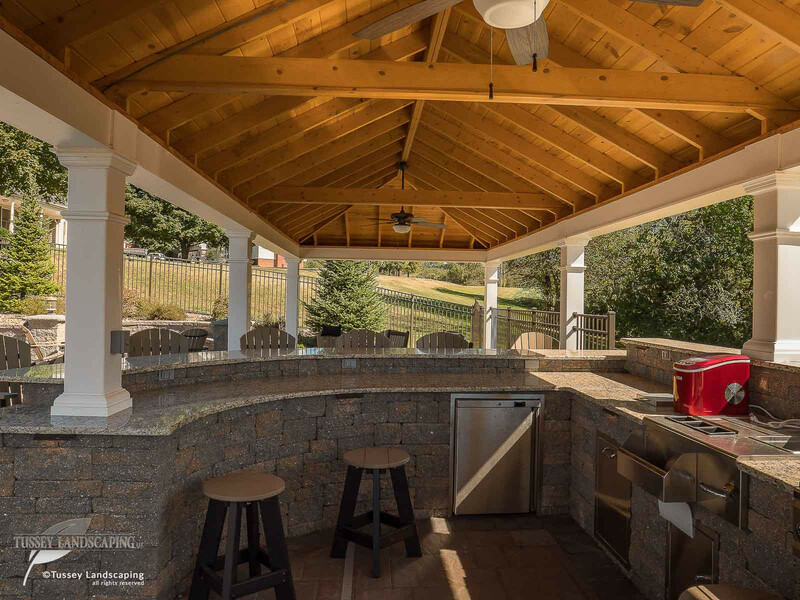 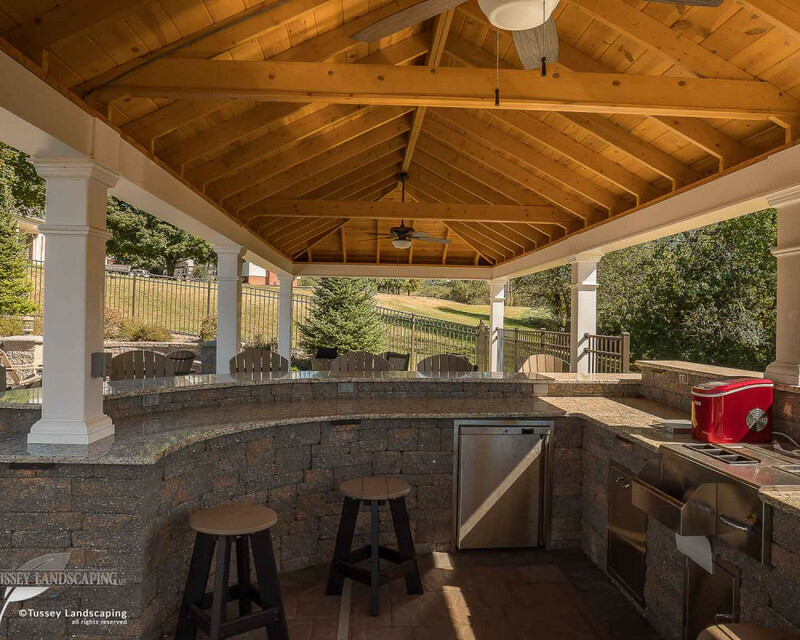 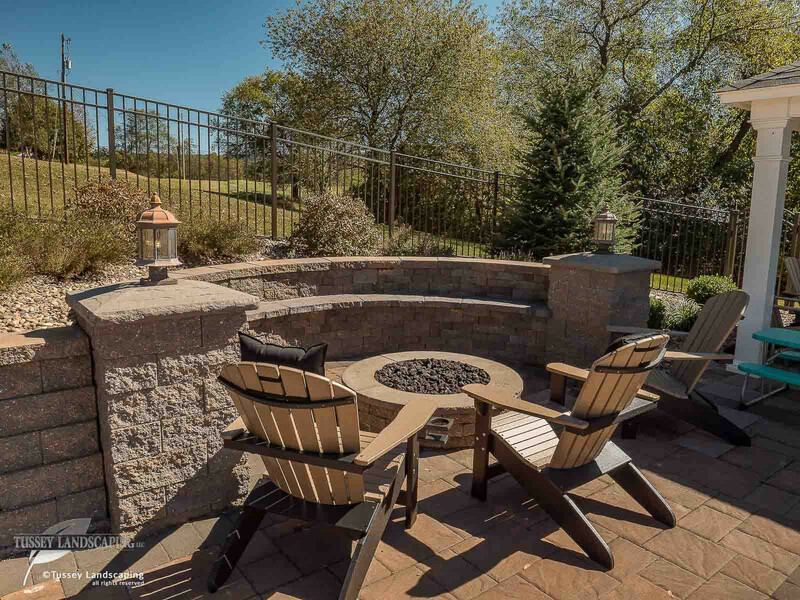 Rustic style landscaping with natural mountain boulders, natural flagstone patio, and a Techo firepit.